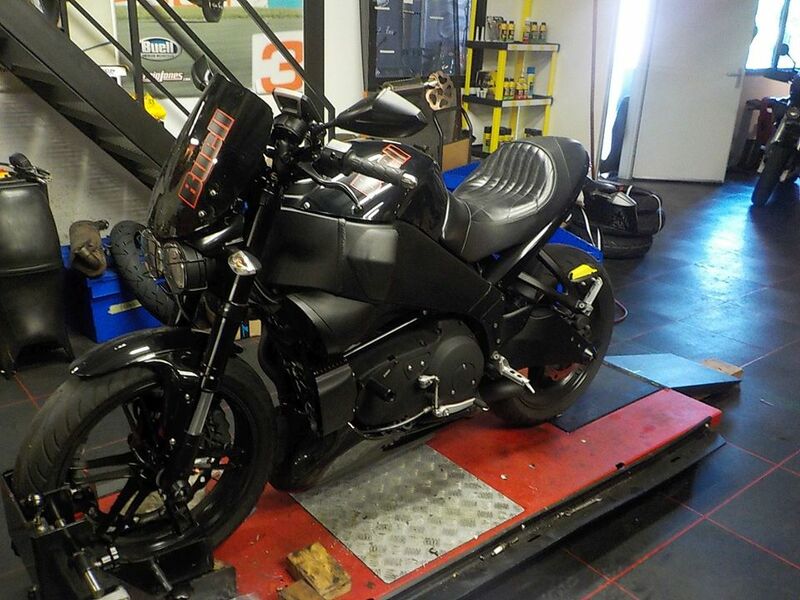 start up... no problems... running sweet — at Twin Motorcycles Buell Support forever. 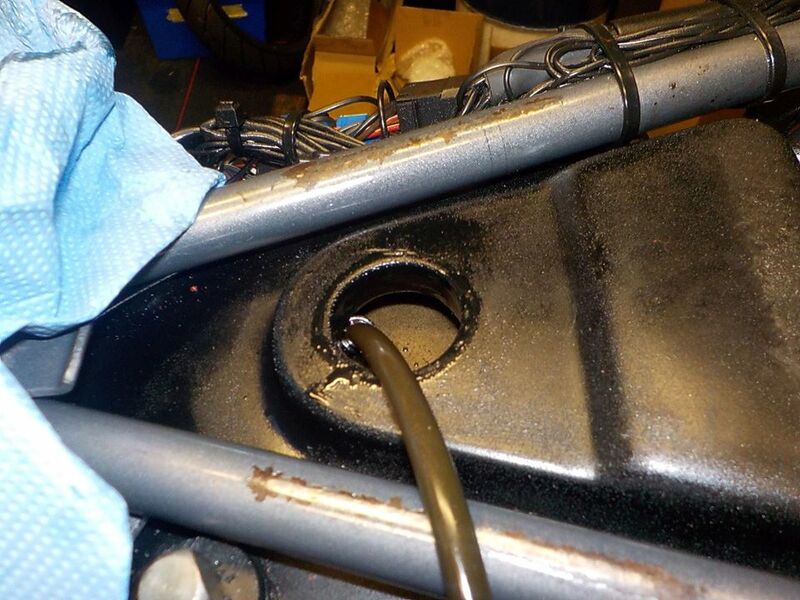 little to much in the oil tank so draining it — at Twin Motorcycles Buell Support forever. 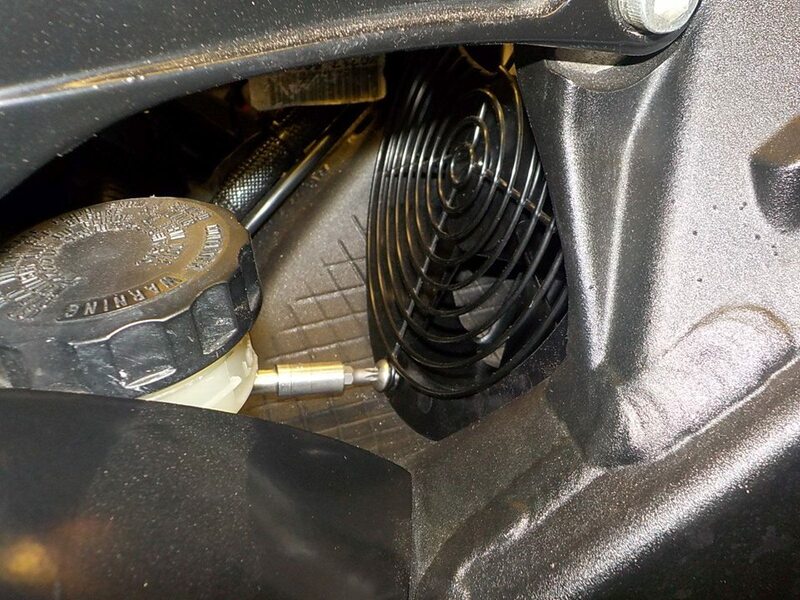 half way on the stick is more than enough the rest will be pushed out anyway as the return and breather will be blocked by the oil level — at Twin Motorcycles Buell Support forever. 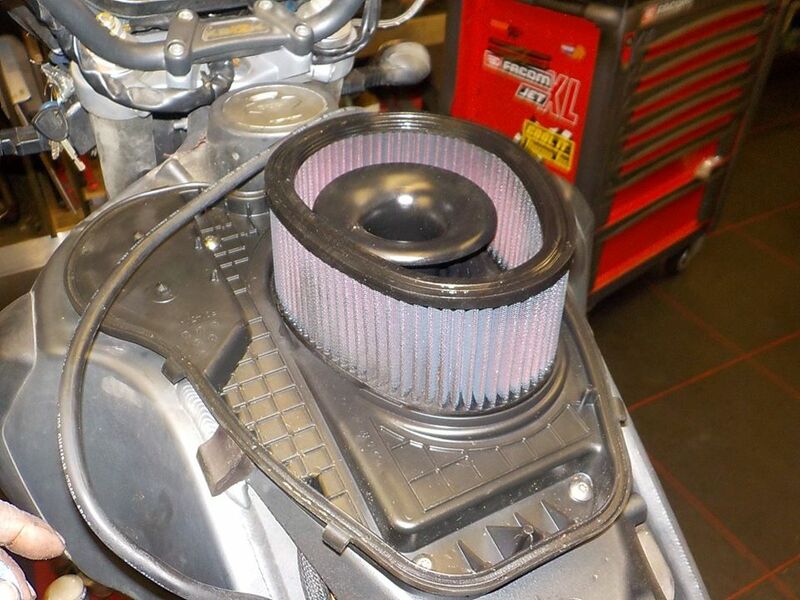 airfilter on — at Twin Motorcycles Buell Support forever. 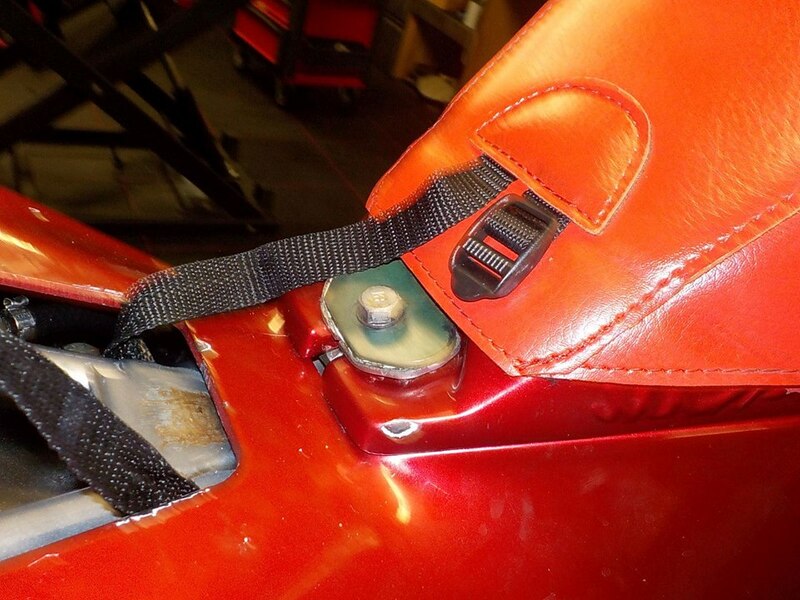 tail section in.. helmet hooks in — at Twin Motorcycles Buell Support forever. 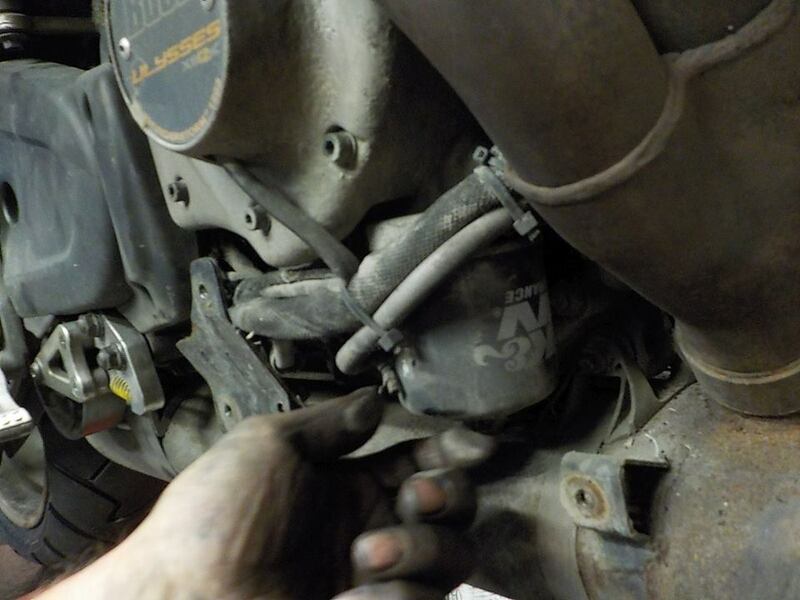 idle adjuster cable — at Twin Motorcycles Buell Support forever. 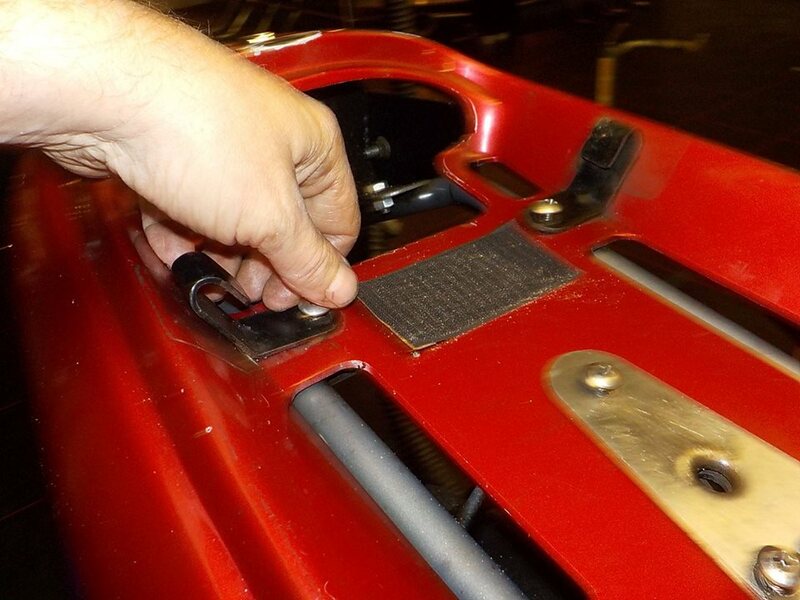 bagster tank cover on .. will do to heat cycles and take here for a spin — at Twin Motorcycles Buell Support forever. 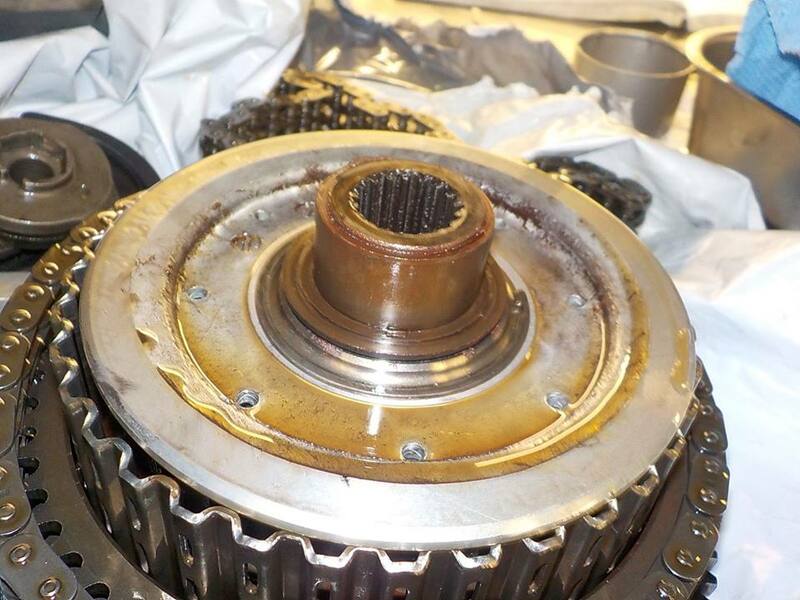 XB12x repairs.. clutch bearing was corroded — atTwin Motorcycles Buell Support forever. 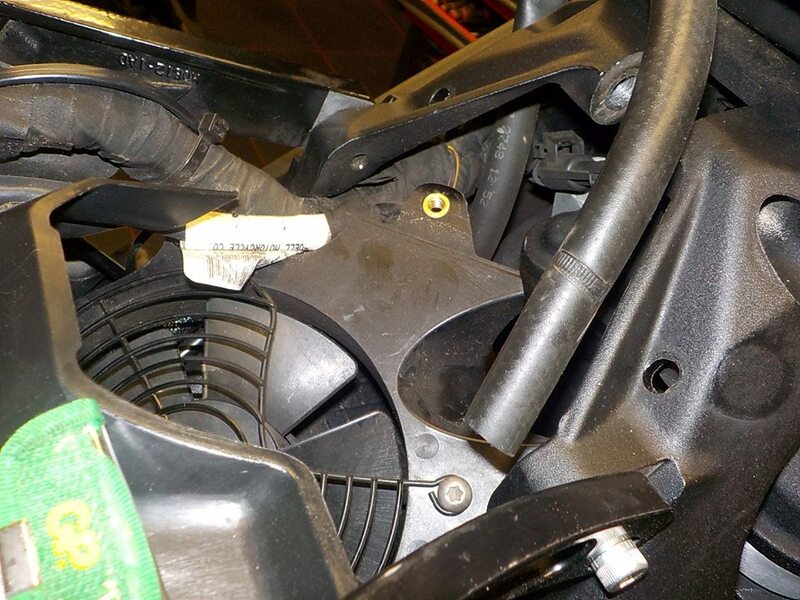 and broken.. hub springs also broken.. and the 2 part could be moved by hand — at Twin Motorcycles Buell Support forever. 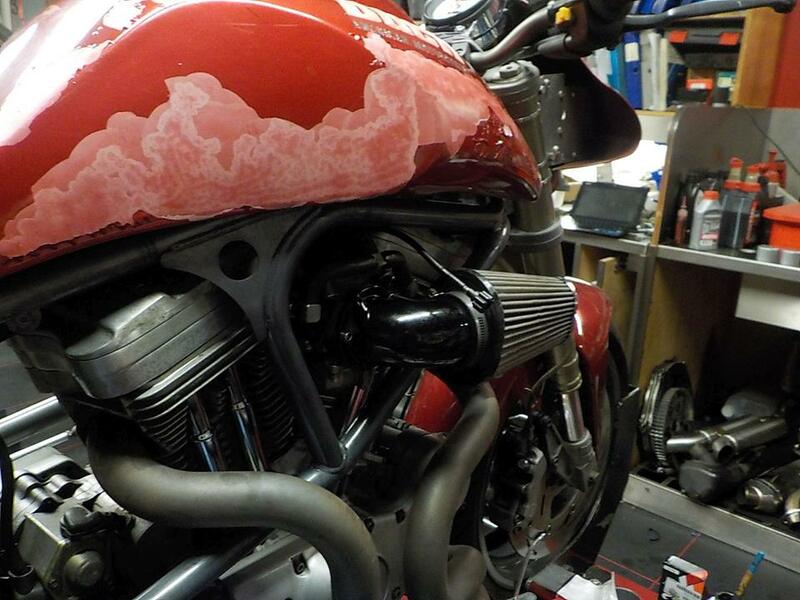 cover of and some cleaning the last off the corrosion oil — at Twin Motorcycles Buell Support forever. basket + hub on — at Twin Motorcycles Buell Support forever. 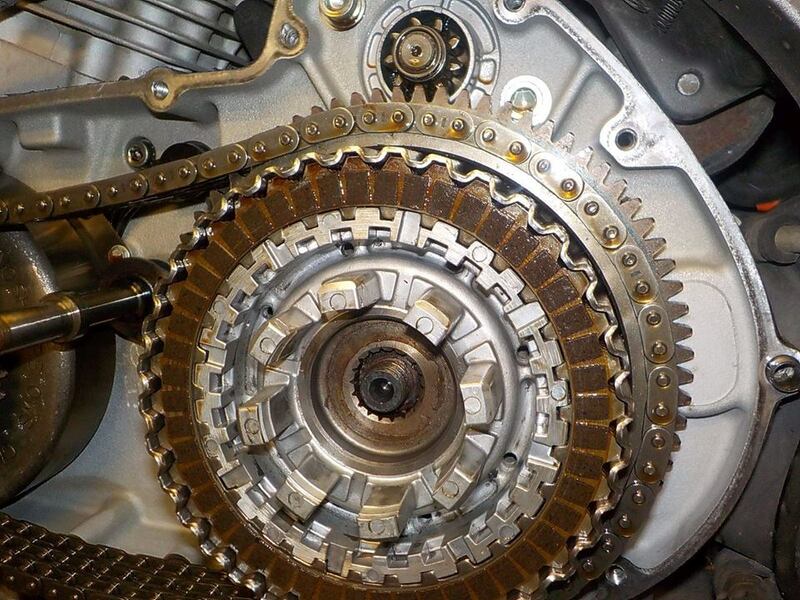 clutch plates in — at Twin Motorcycles Buell Support forever. 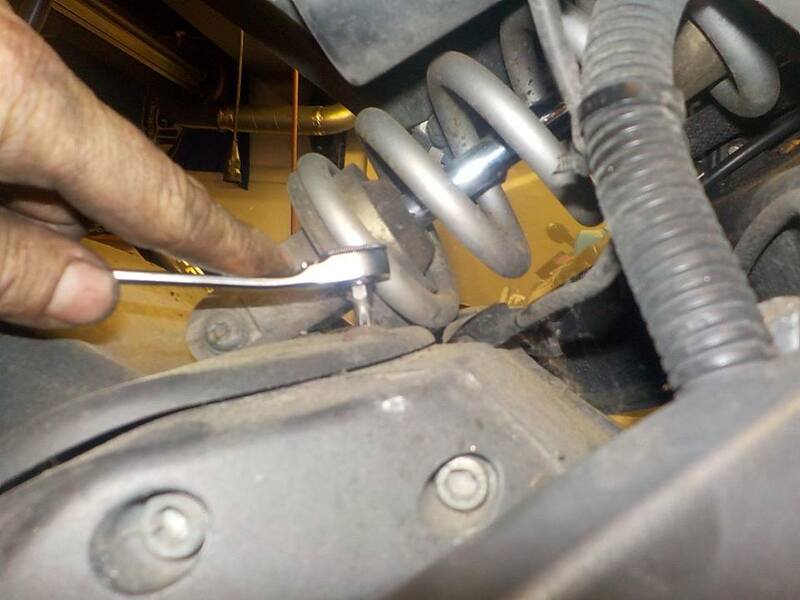 mianshaft nut tighten.. clutch spring tool on to mount the pressure plate and diaphrame spring — at Twin Motorcycles Buell Support forever. 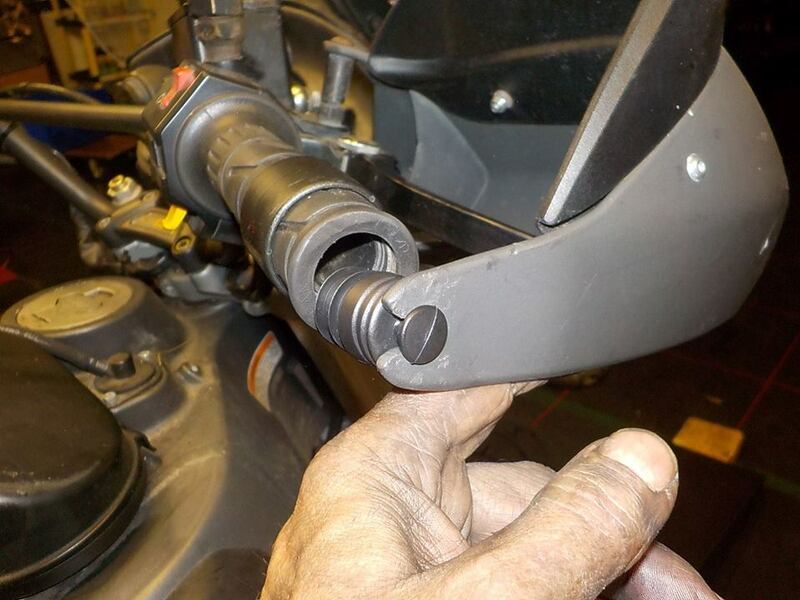 c-clip ring and seat ring — at Twin Motorcycles Buell Support forever. 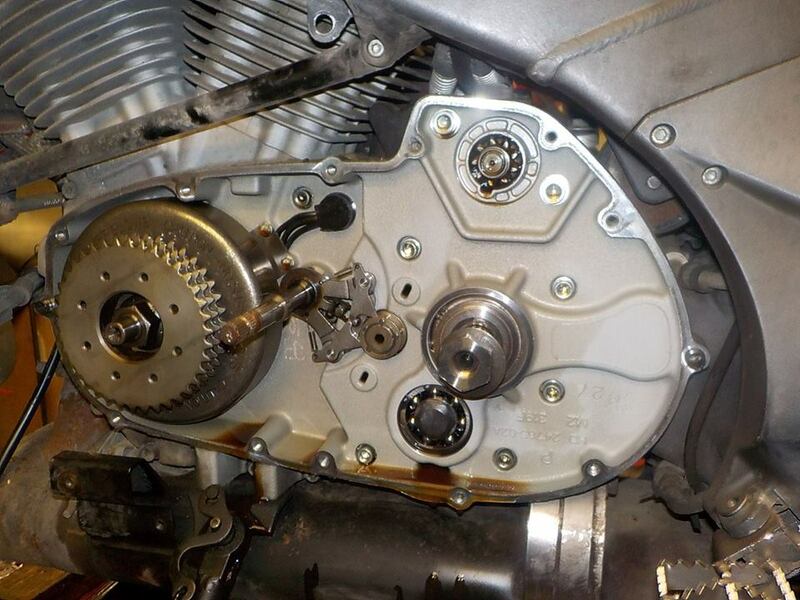 cover on.. tighen starting in the center and spiraling out — at Twin Motorcycles Buell Support forever. 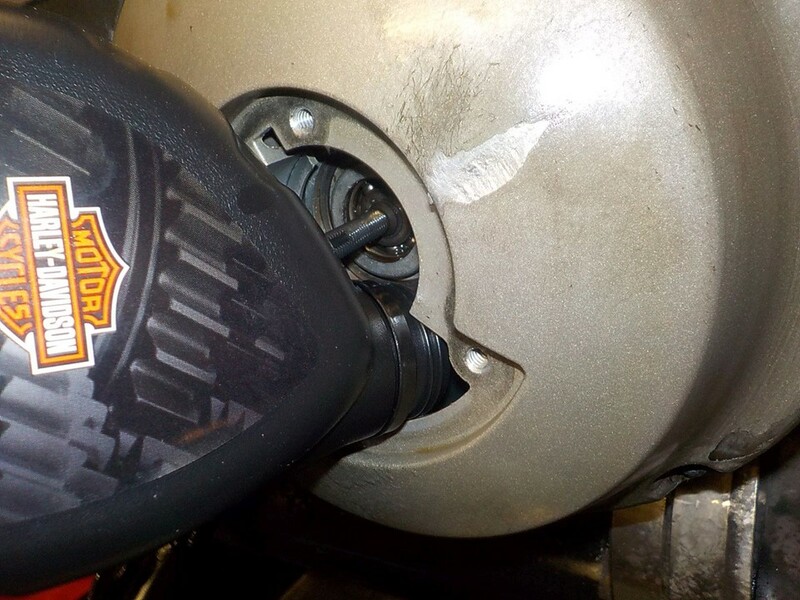 oil in — at Twin Motorcycles Buell Support forever. 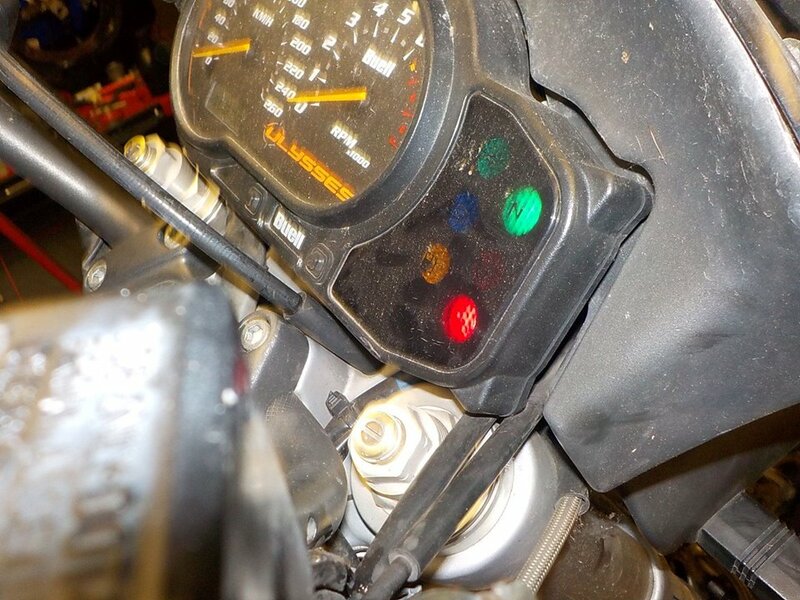 shifter on some red loctite on the bolts — at Twin Motorcycles Buell Support forever. my 9;o clock apointment .. very well kept XB9sx 2009 model .. 51000 km as we speak.. kept in pristine condition — at Twin Motorcycles Buell Support forever. 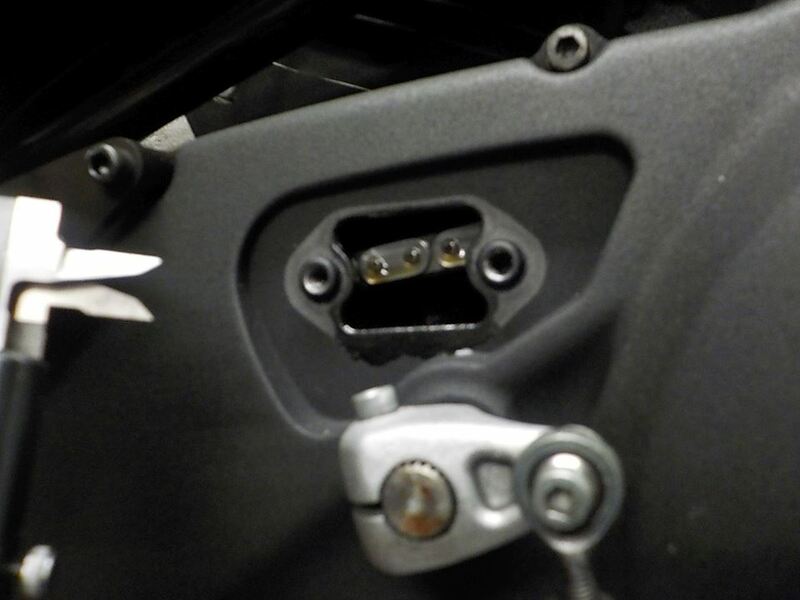 little thing battey strap broken again.. i will replace this by one off we sell — at Twin Motorcycles Buell Support forever. 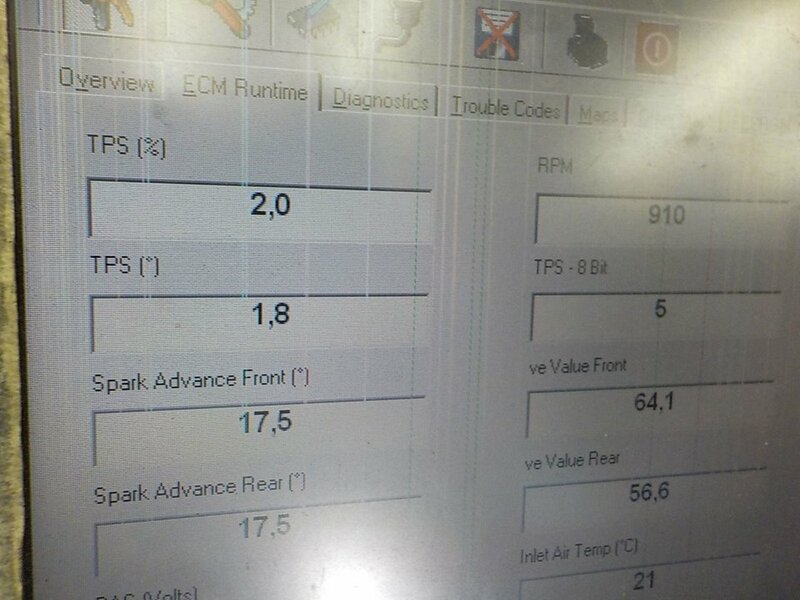 fan not working.. no error codes.. fuse not broken.. strange — at Twin Motorcycles Buell Support forever. 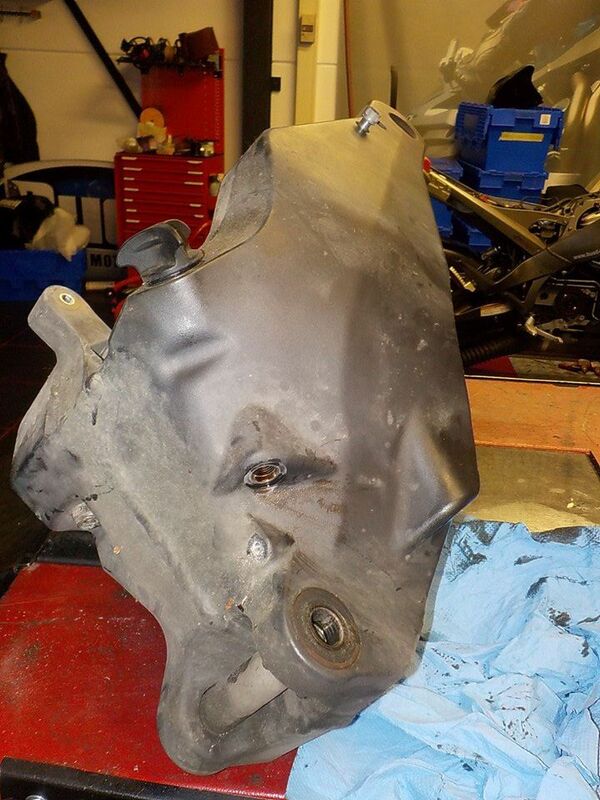 first to drain the oil and remove the very nice belly pan — at Twin Motorcycles Buell Support forever. neutral switch some times not working.. has allot off resistance. 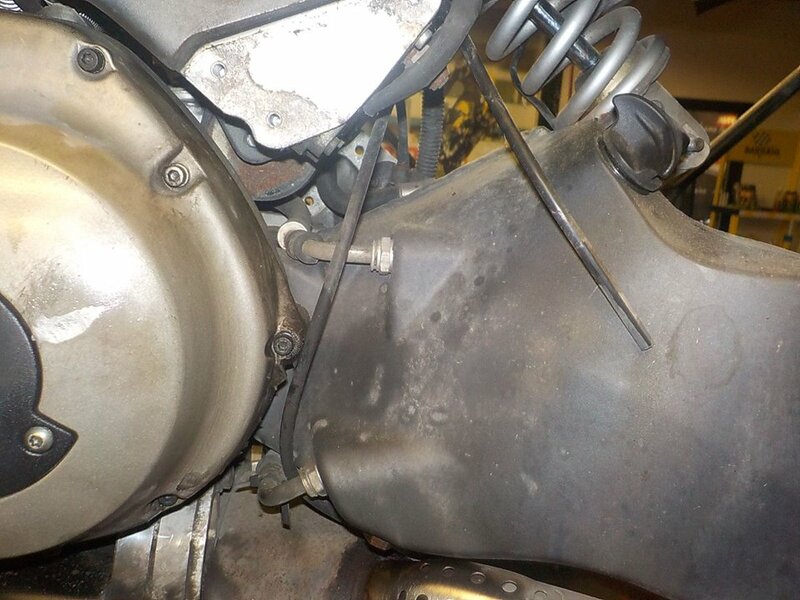 i will replace it — at Twin Motorcycles Buell Support forever. 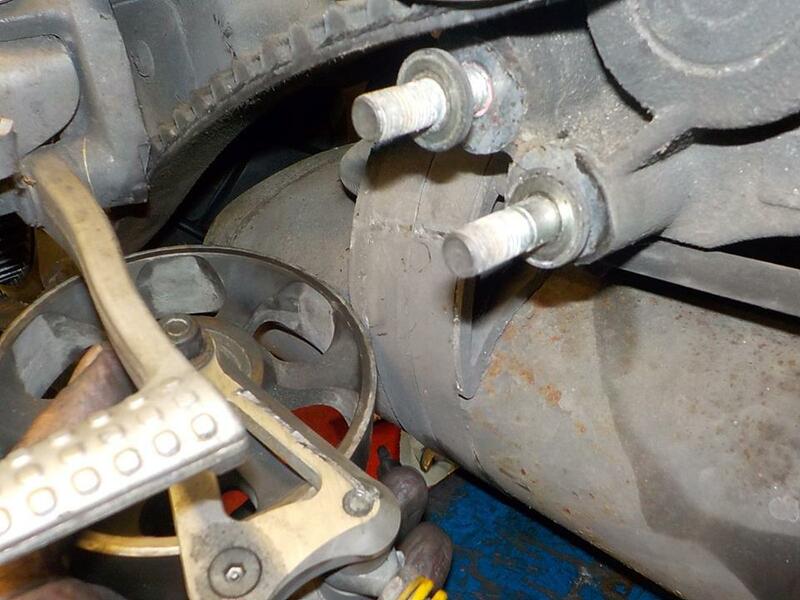 rear brake caliper of .. — at Twin Motorcycles Buell Support forever. 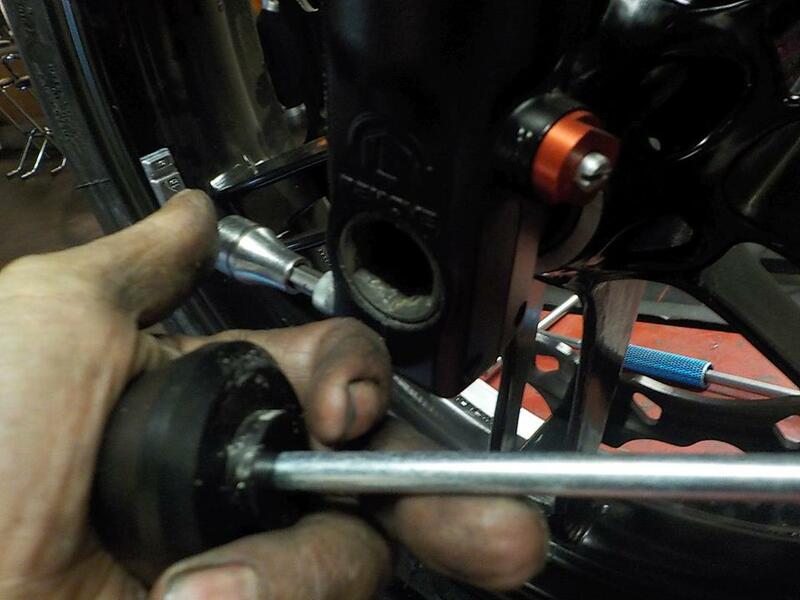 rear axle loose — at Twin Motorcycles Buell Support forever. 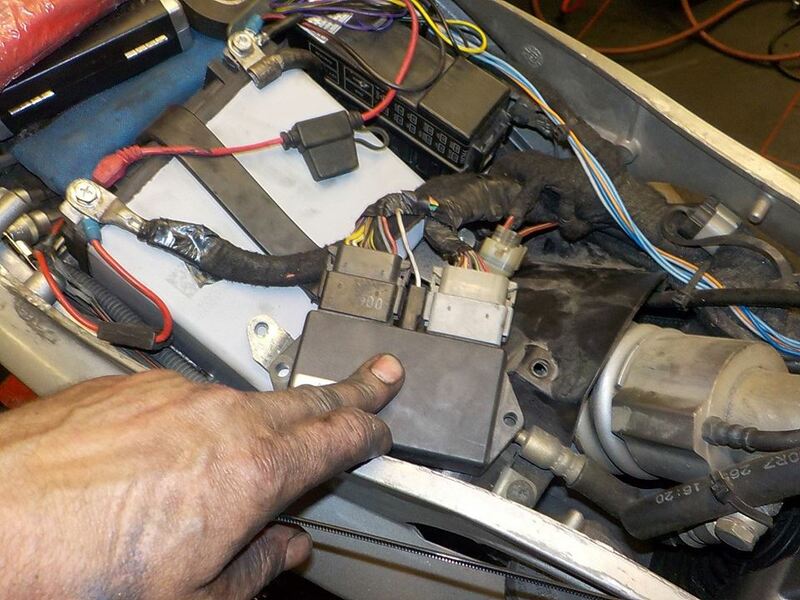 wheel out , belt check and replace the neutral switch— at Twin Motorcycles Buell Support forever. 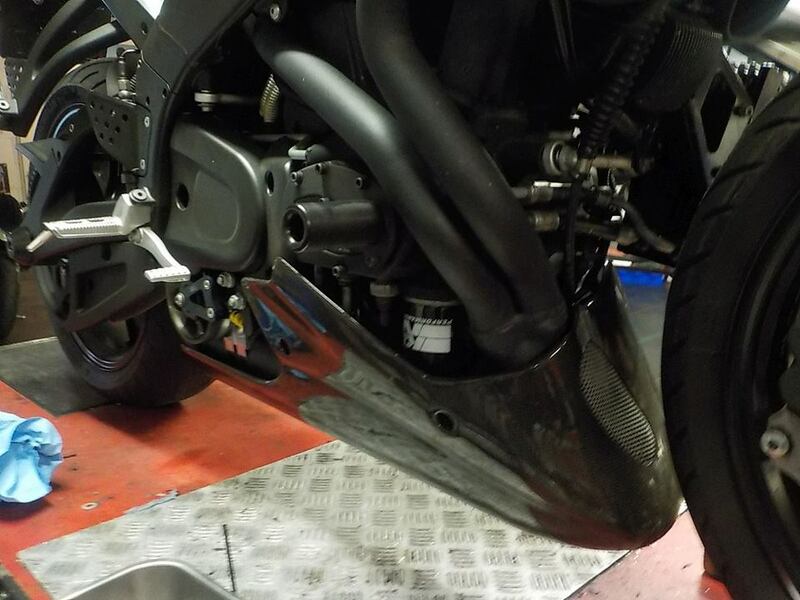 fresh rear tyre and bearings — at Twin Motorcycles Buell Support forever. 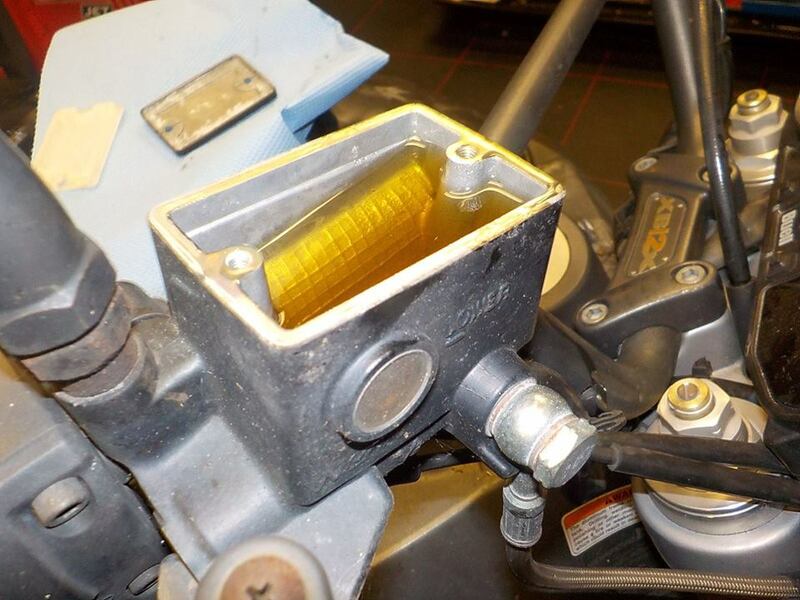 new oil filter — at Twin Motorcycles Buell Support forever. 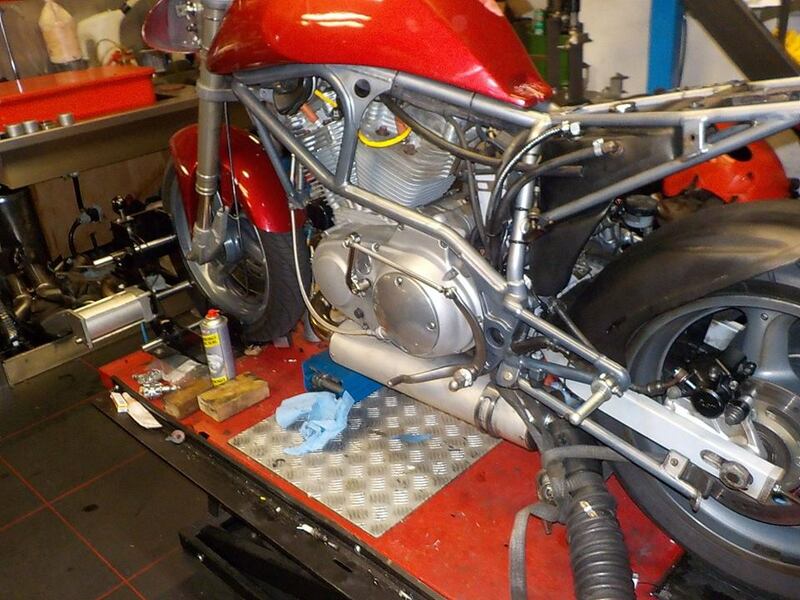 checking the primairy chain.. all good — at Twin Motorcycles Buell Support forever. 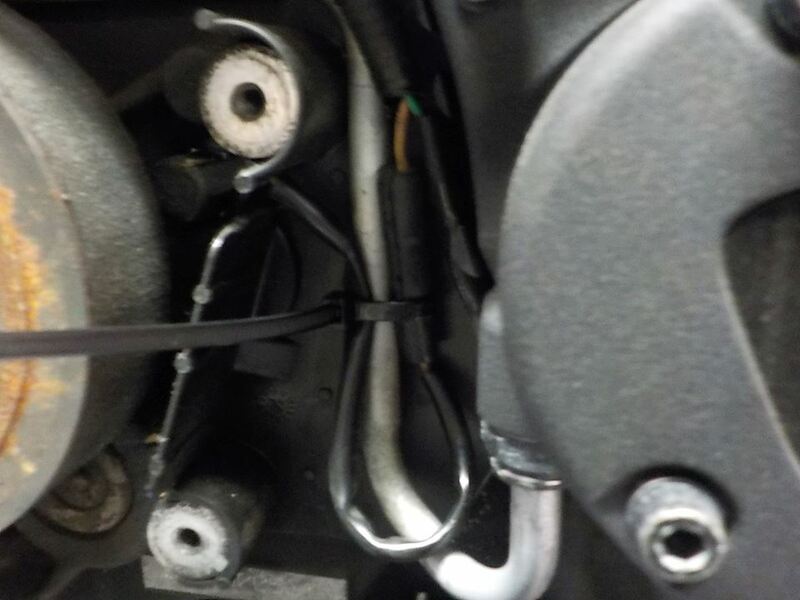 i ziptie the neutral wire cable to the oil line.. better for vibrations — at Twin Motorcycles Buell Support forever. 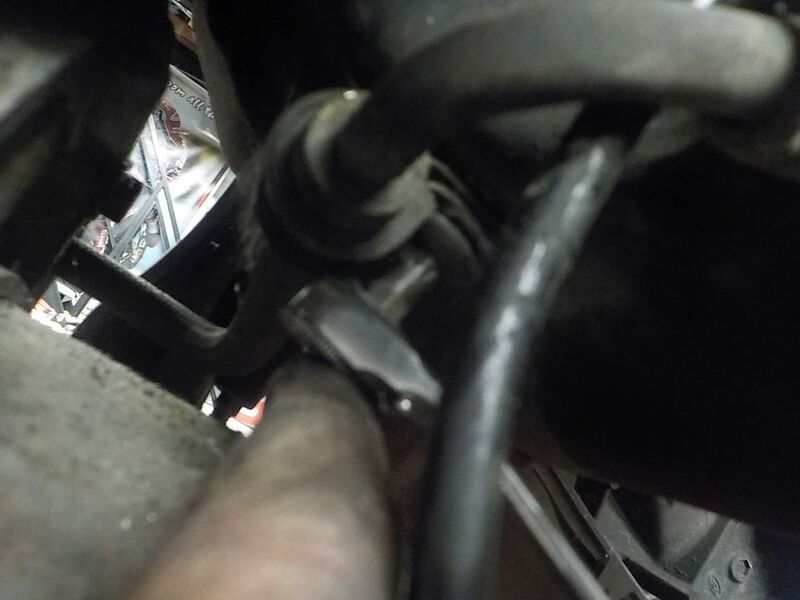 we are going to check the fan.. so the rear shock will go out .. removing the breather hose — at Twin Motorcycles Buell Support forever. 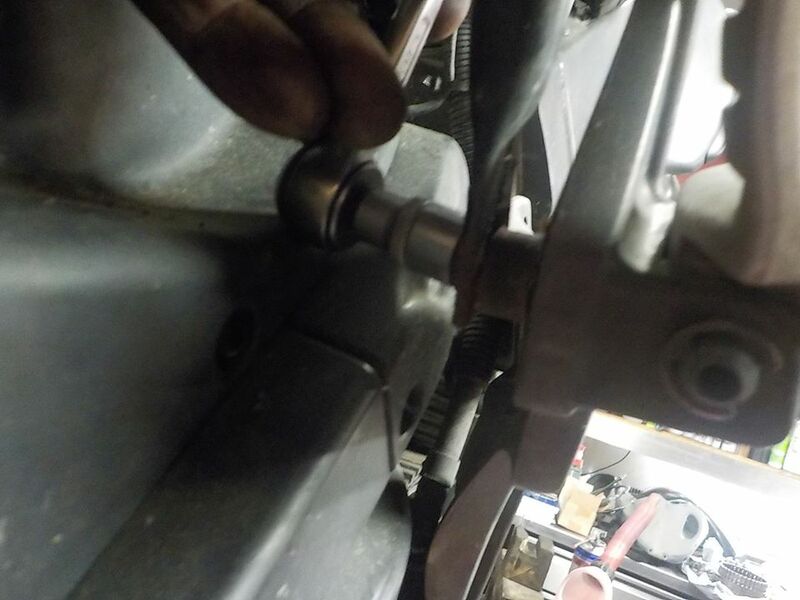 top shock mount bolt — at Twin Motorcycles Buell Support forever. 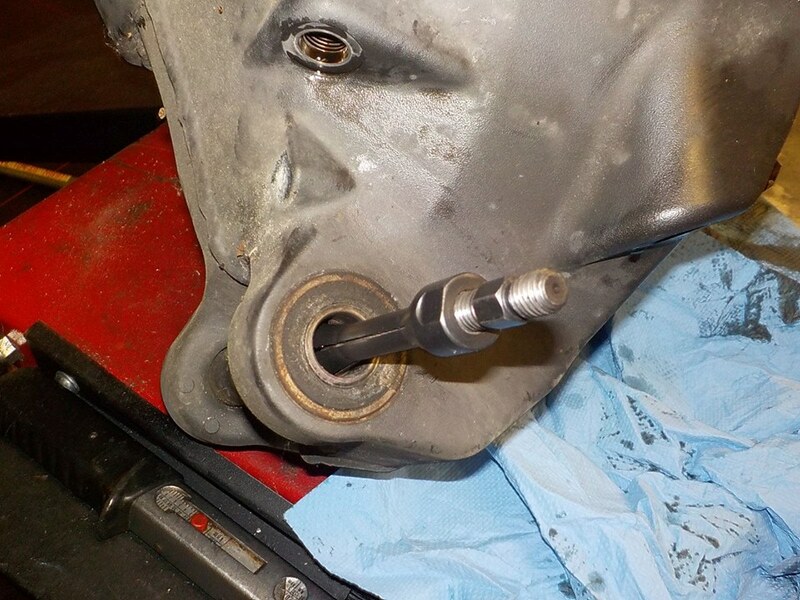 and rear mount bolt loose — at Twin Motorcycles Buell Support forever. 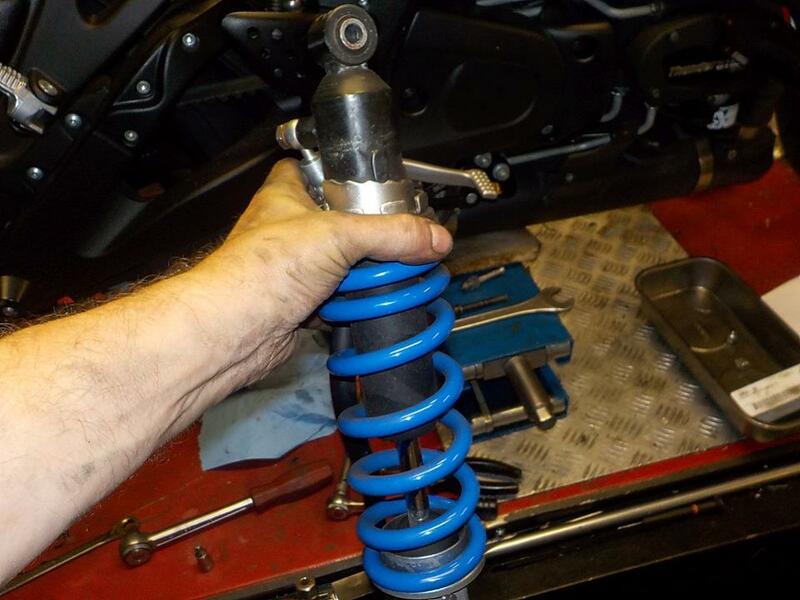 bike supported and you can pull out the rear shock— at Twin Motorcycles Buell Support forever. 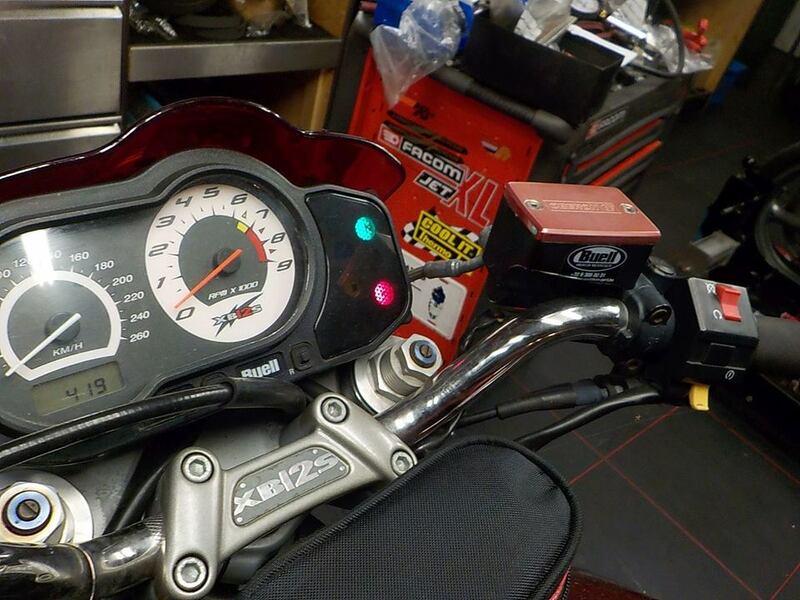 acces to the fan — at Twin Motorcycles Buell Support forever. 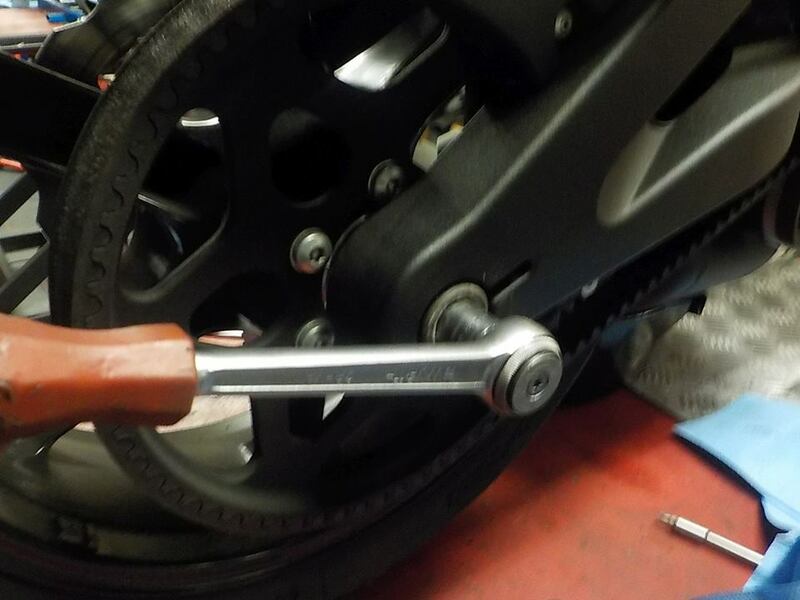 4 x T27 bolt to hold theme — at Twin Motorcycles Buell Support forever. 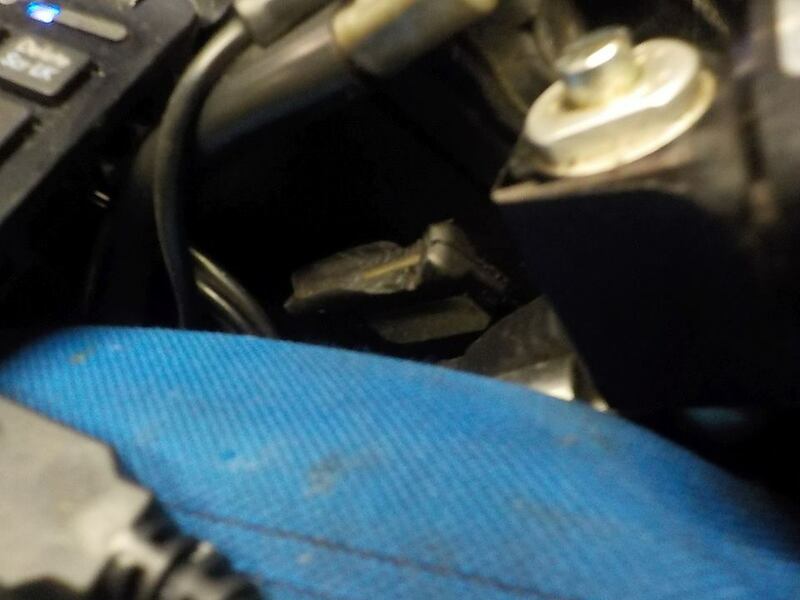 and pull the fan out , disconneting the connector is irritating difficult.. hard to reach and need a sharp to push in the lock tab — at Twin Motorcycles Buell Support forever. 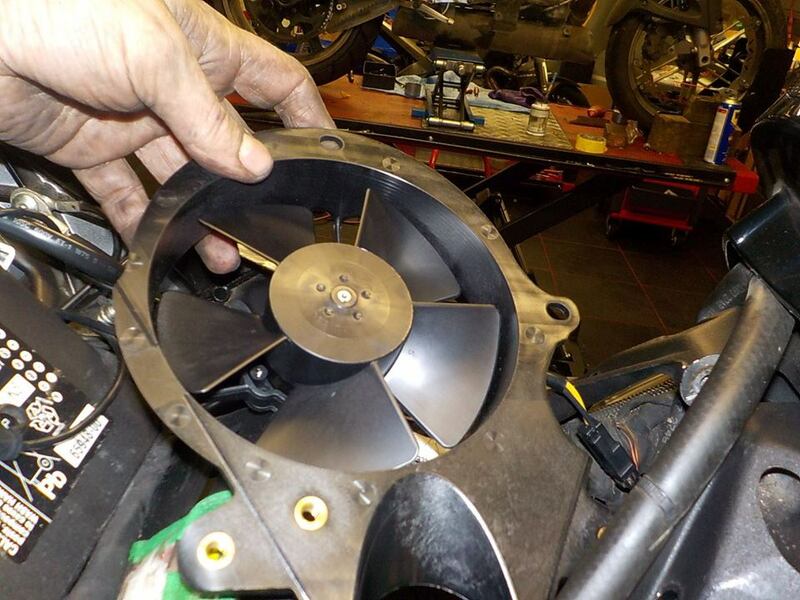 before mounting.. testing the new fan.. works — atTwin Motorcycles Buell Support forever. 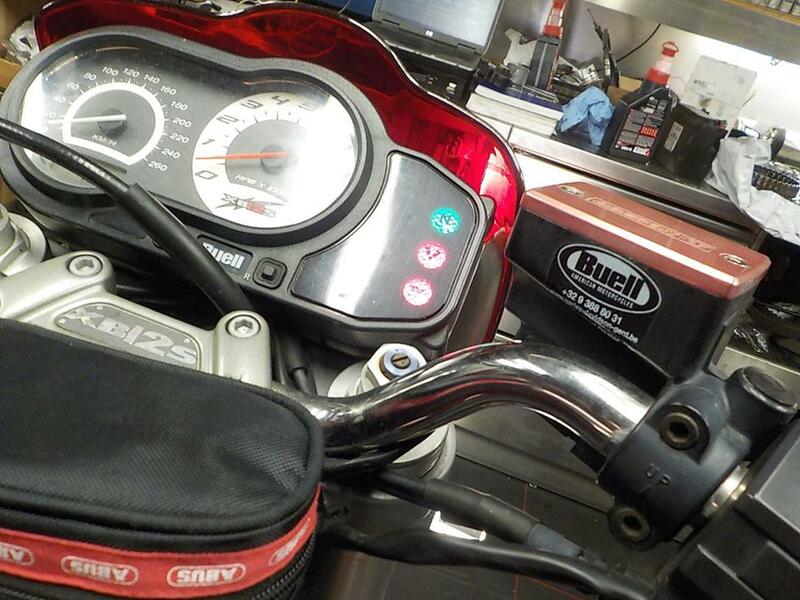 mounting and grill in — at Twin Motorcycles Buell Support forever. twin batttery strap .. worlk with O-rings easy mounting — at Twin Motorcycles Buell Support forever. 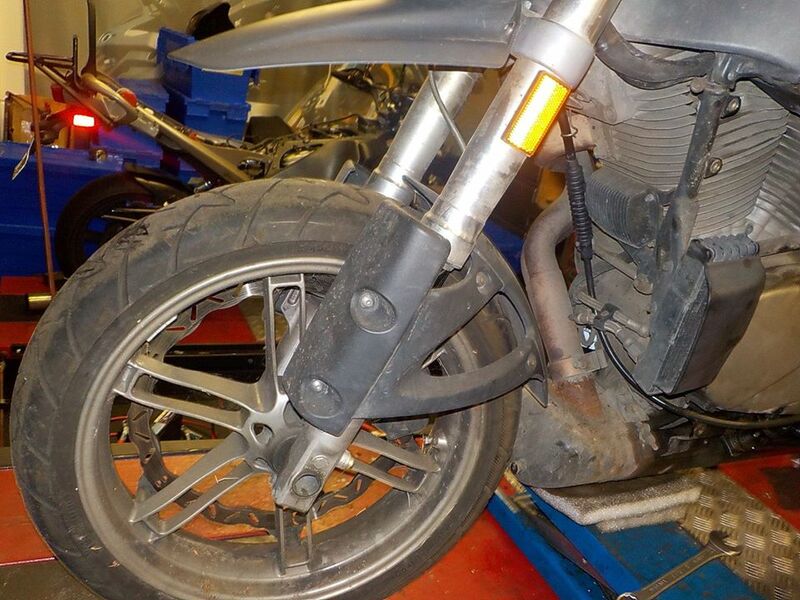 time to check the front and replace the front tyre — at Twin Motorcycles Buell Support forever. 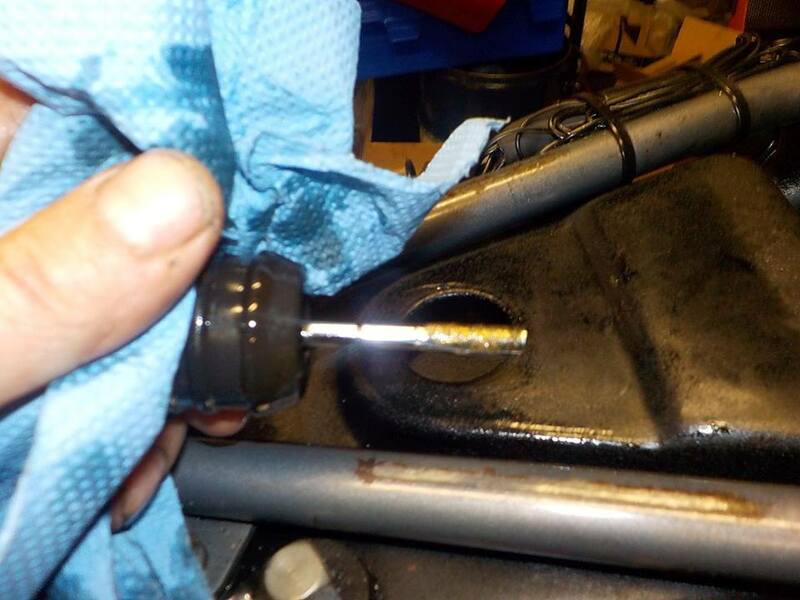 pinch bolts loose — at Twin Motorcycles Buell Support forever. 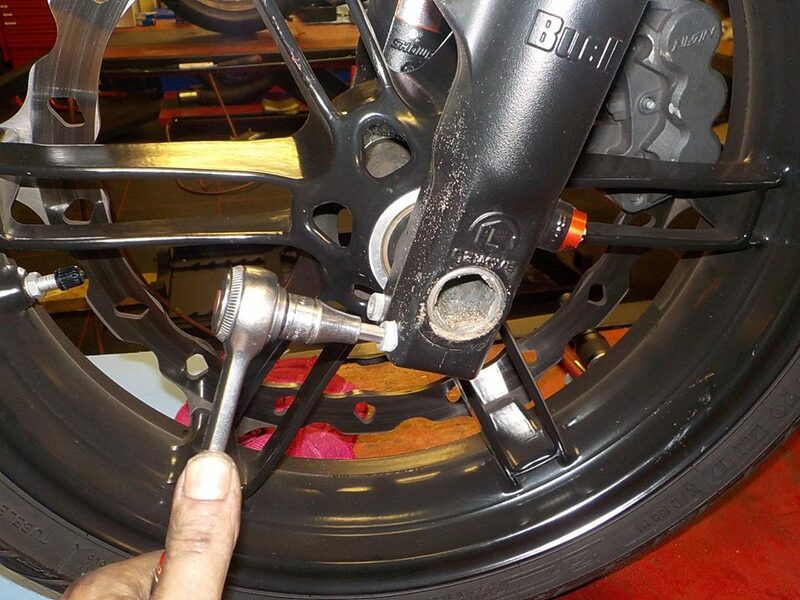 and caliper bolts out — at Twin Motorcycles Buell Support forever. 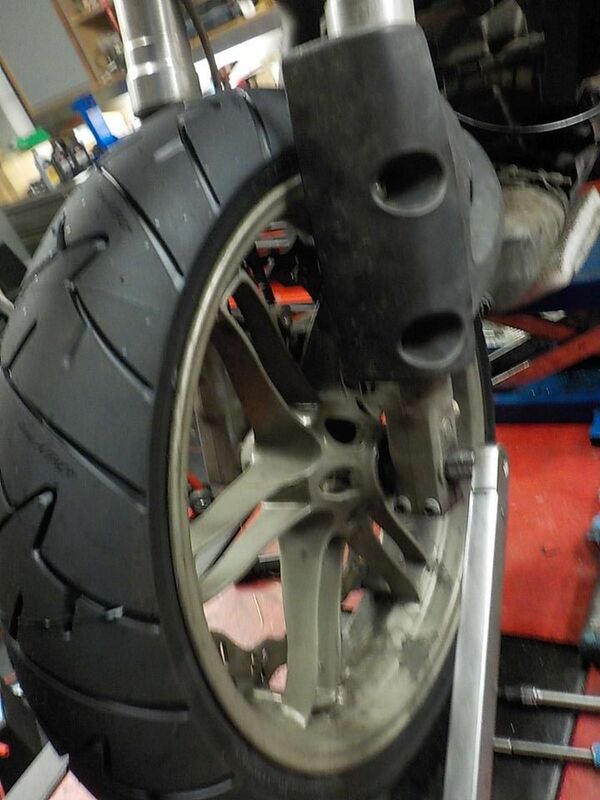 new front tyre.. bearing where ok — at Twin Motorcycles Buell Support forever. 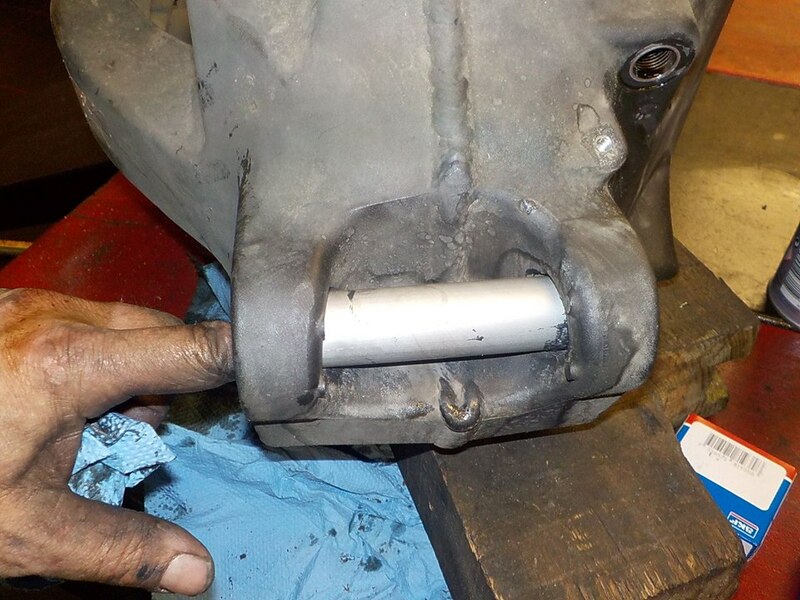 note when setting the front forks. 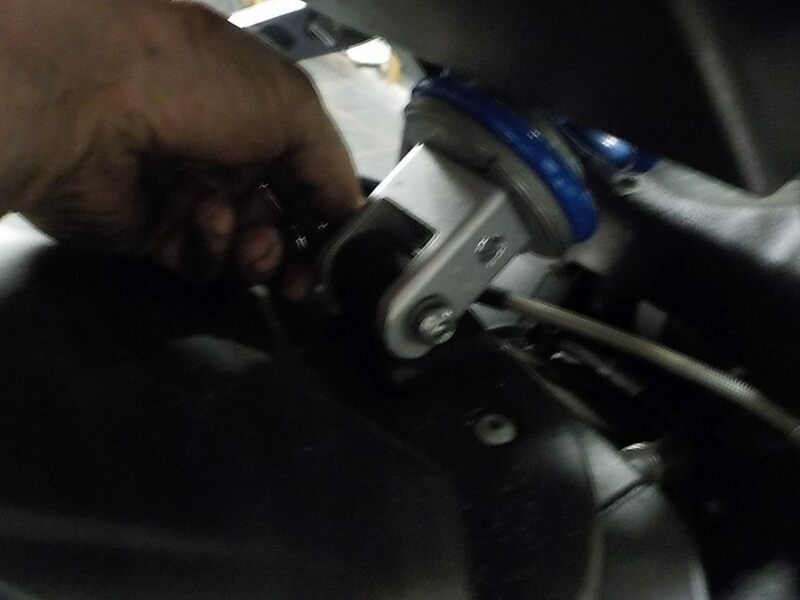 the axle is inside the legs.. mountin the axle protector.. can give problems when the protection is mounted to tight — at Twin Motorcycles Buell Support forever. 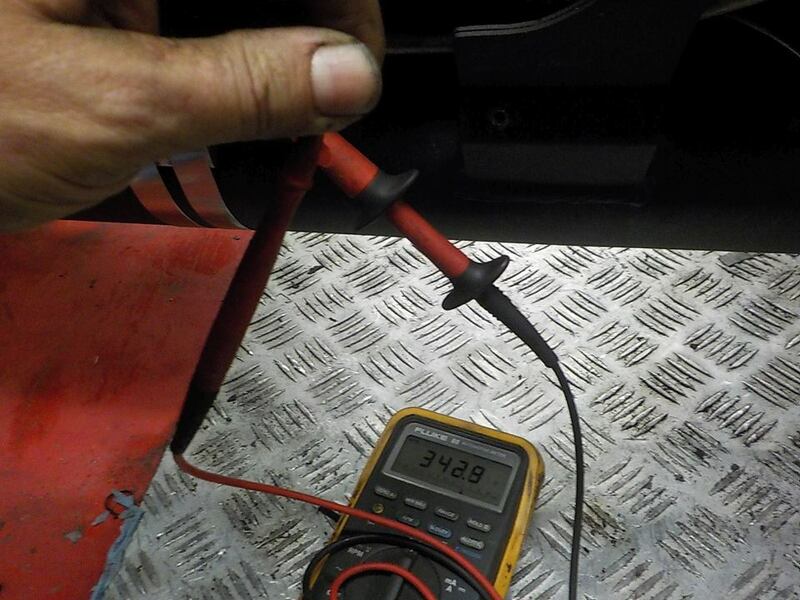 other heat cycle with the S3 — at Twin Motorcycles Buell Support forever. on with the uly/. 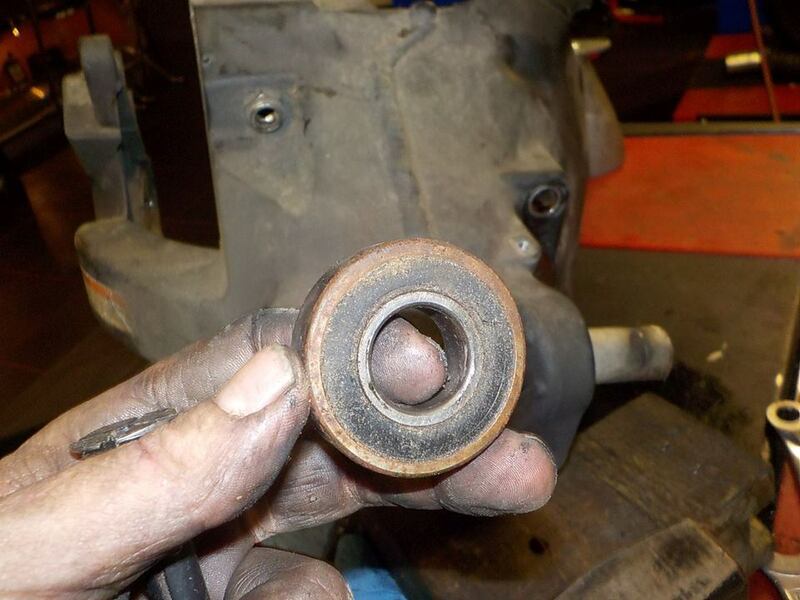 swing arm bearings.. so allot need to loosen wheel out — at Twin Motorcycles Buell Support forever. 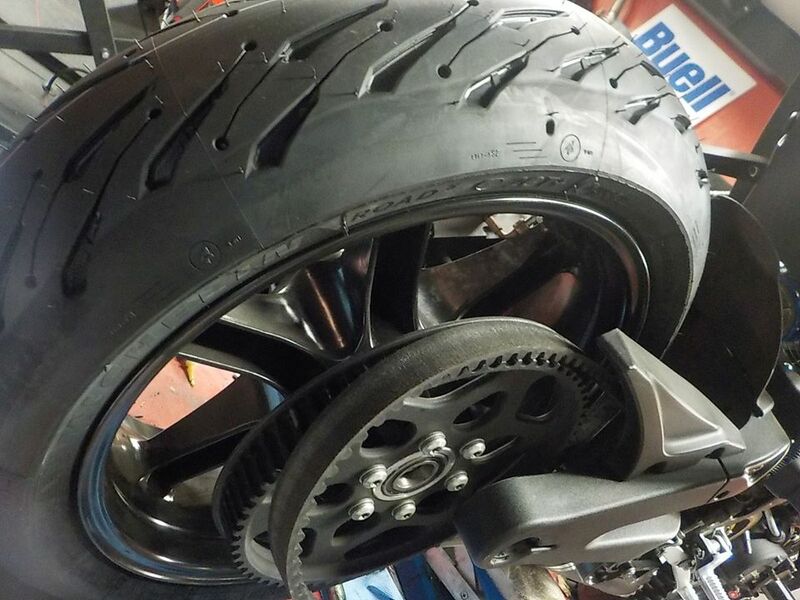 rear fender of — at Twin Motorcycles Buell Support forever. 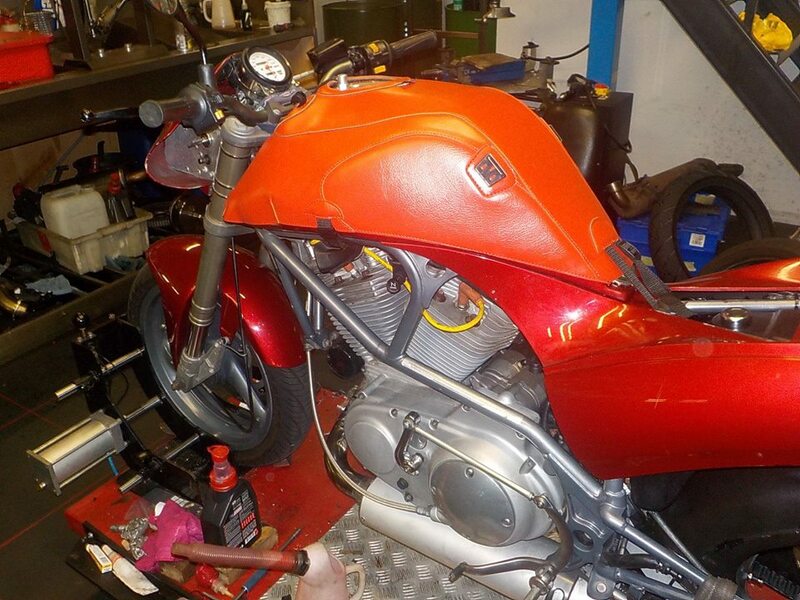 side case moumting loose — at Twin Motorcycles Buell Support forever. 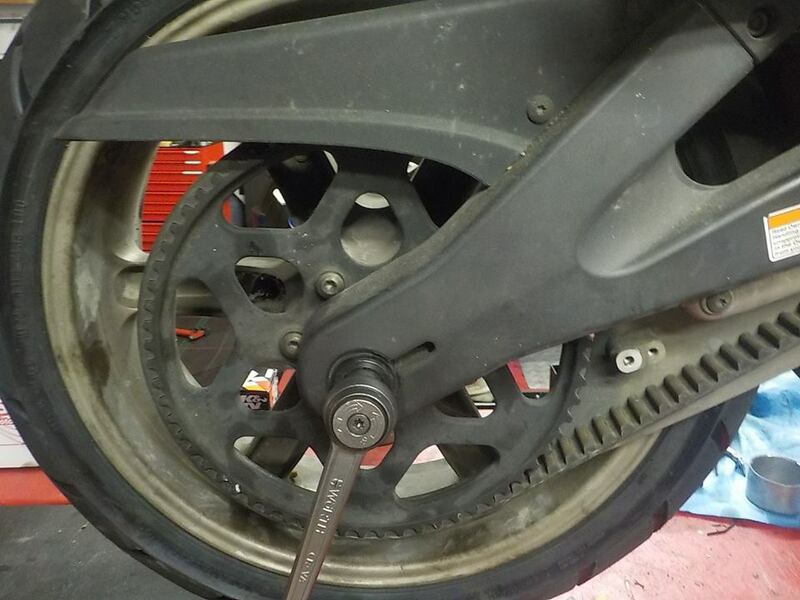 belt and swingarm piece loose — at Twin Motorcycles Buell Support forever. 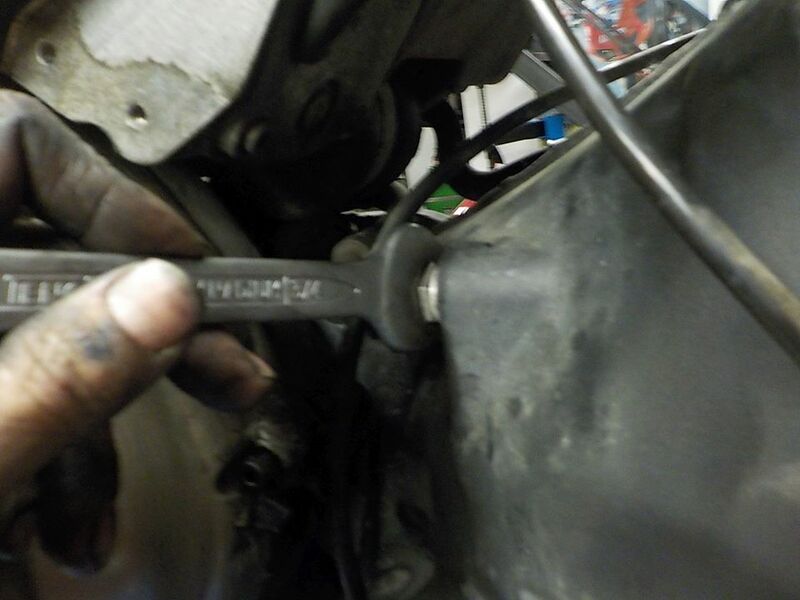 foot peg plates loose to get to the oil lines — at Twin Motorcycles Buell Support forever. 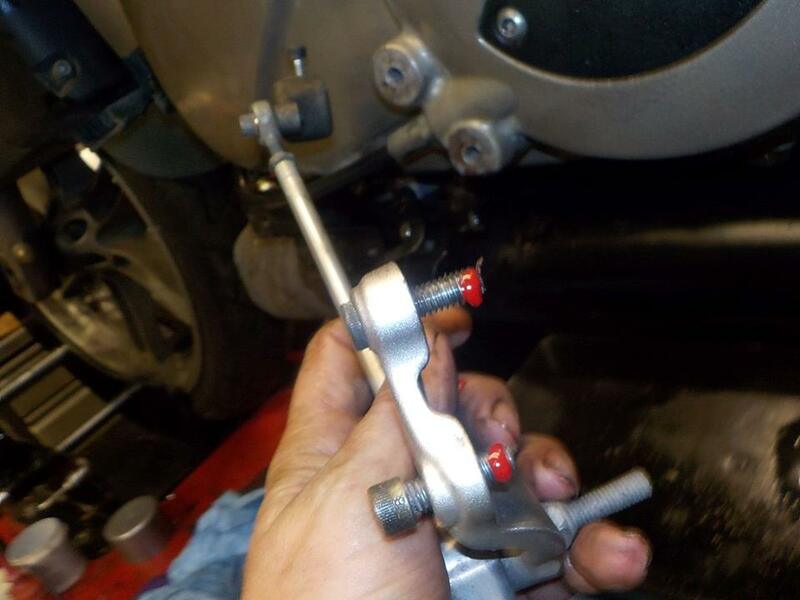 brackets loose — at Twin Motorcycles Buell Support forever. 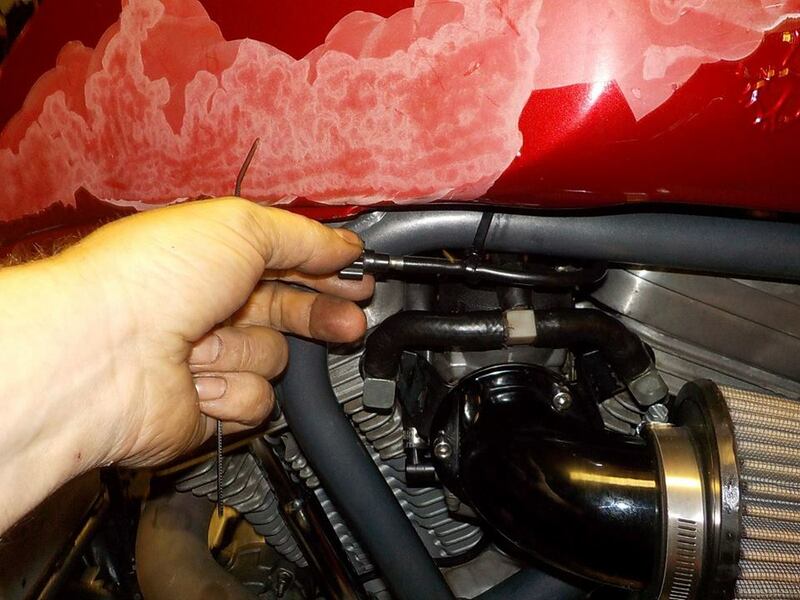 and oil lines loose — at Twin Motorcycles Buell Support forever. 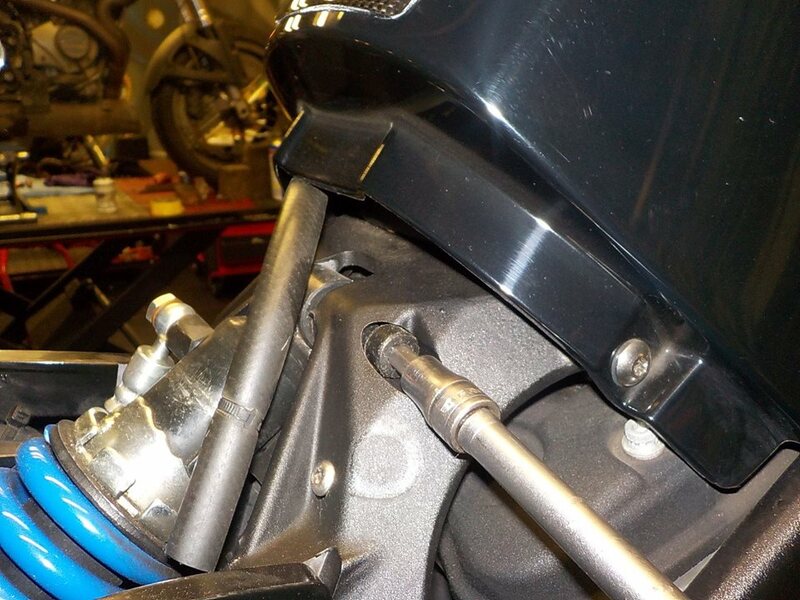 swing arm pivot out — at Twin Motorcycles Buell Support forever. 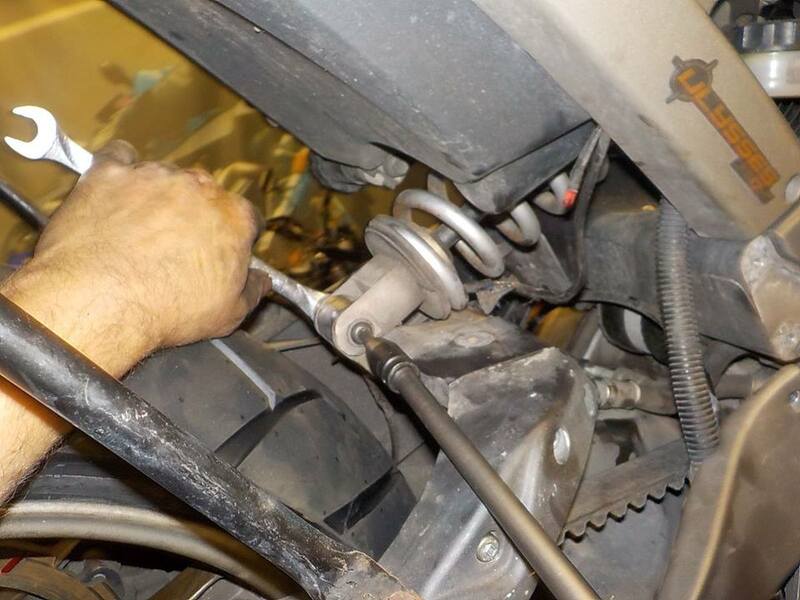 and swing arm out — at Twin Motorcycles Buell Support forever. 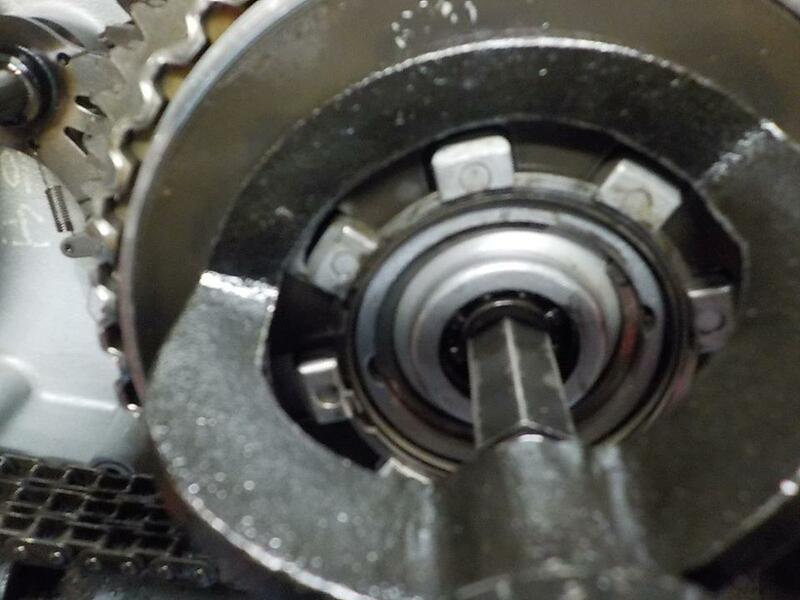 bling bearing puller — at Twin Motorcycles Buell Support forever. 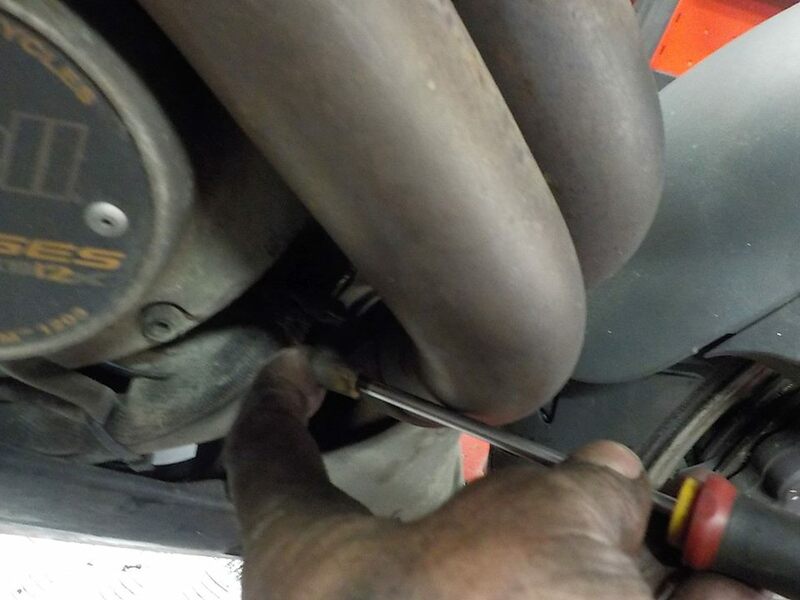 1 down , pipe out and the other one out — at Twin Motorcycles Buell Support forever. 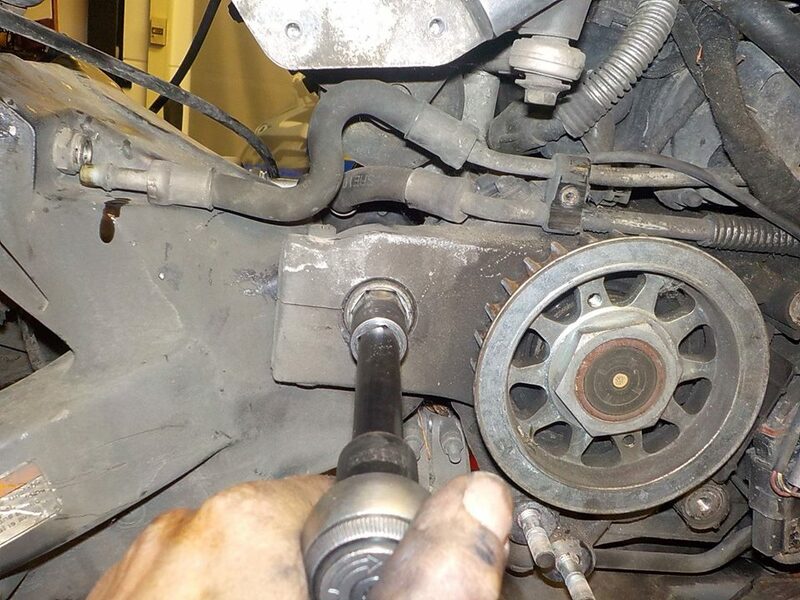 cleaned the spacer. 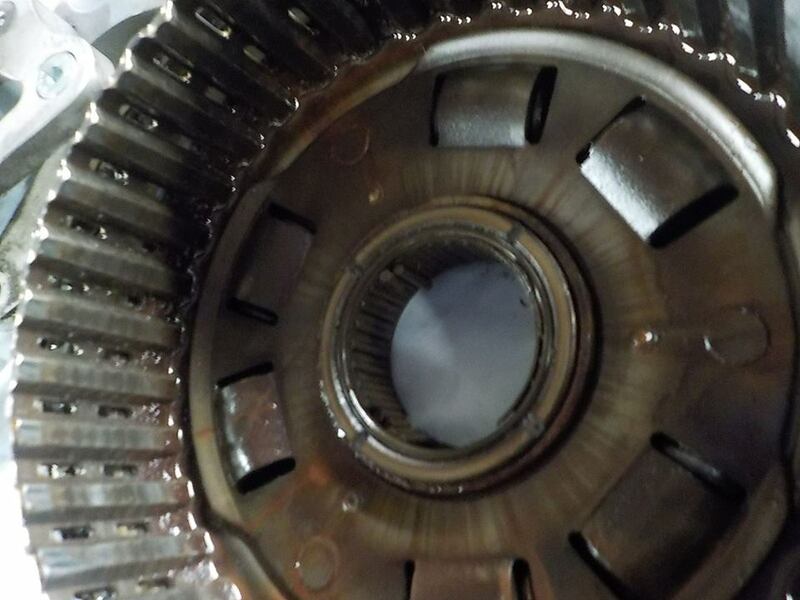 and some neverseas in the bearing seats — at Twin Motorcycles Buell Support forever. 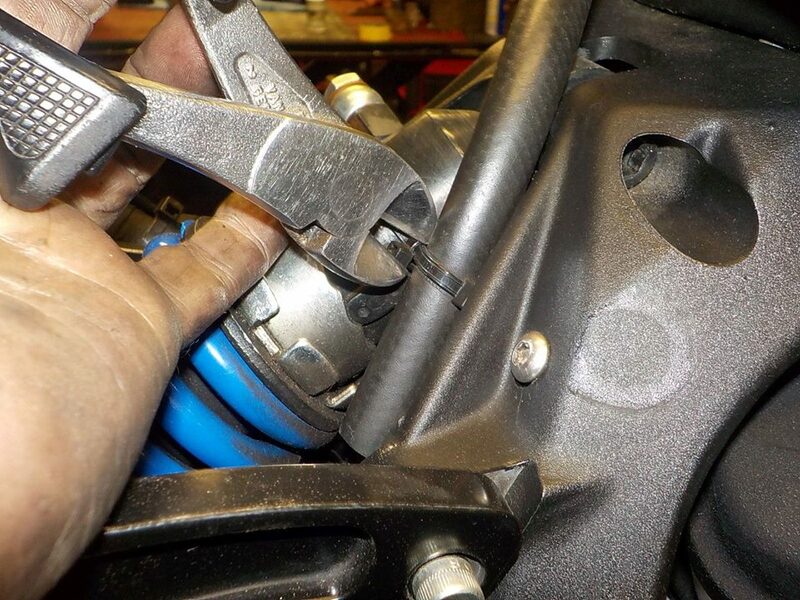 swing arm back on — at Twin Motorcycles Buell Support forever. 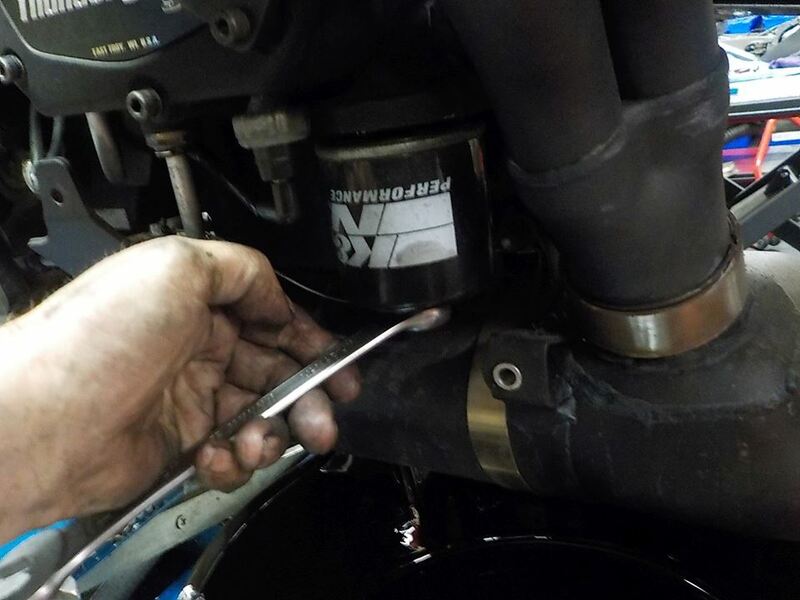 oil line back in — at Twin Motorcycles Buell Support forever. 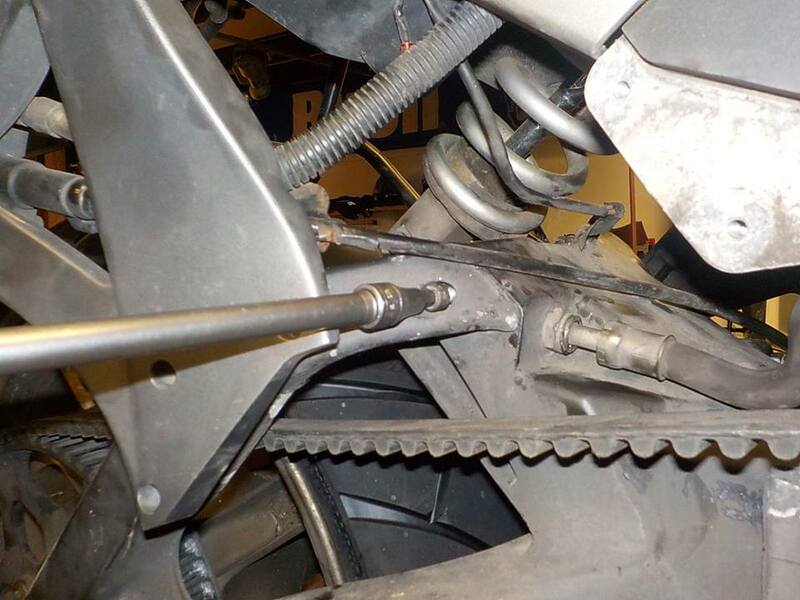 belt + brace mounted — at Twin Motorcycles Buell Support forever. 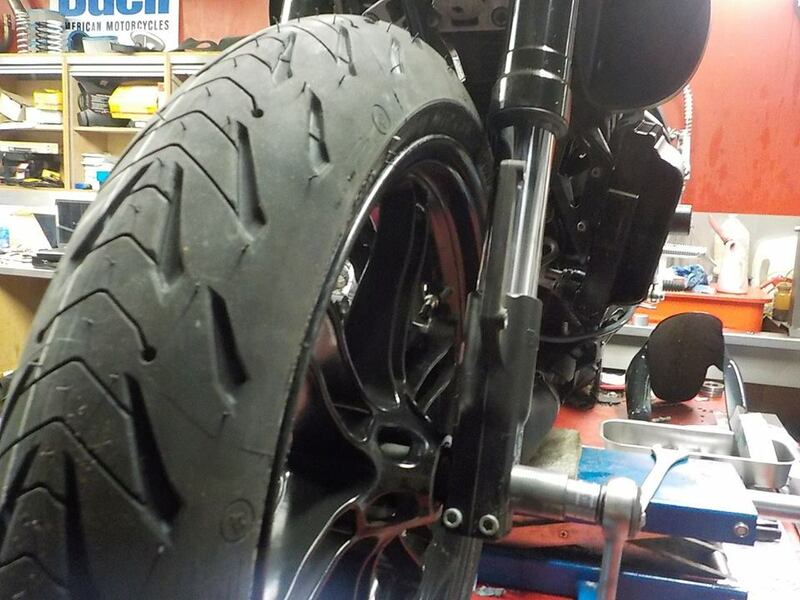 rear wheel and shock back on — at Twin Motorcycles Buell Support forever. 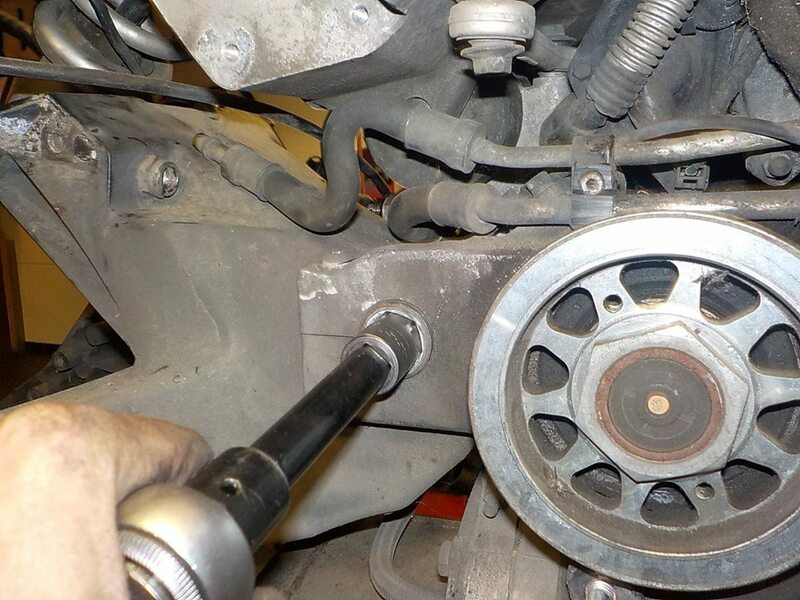 belt idler pully see the markings. 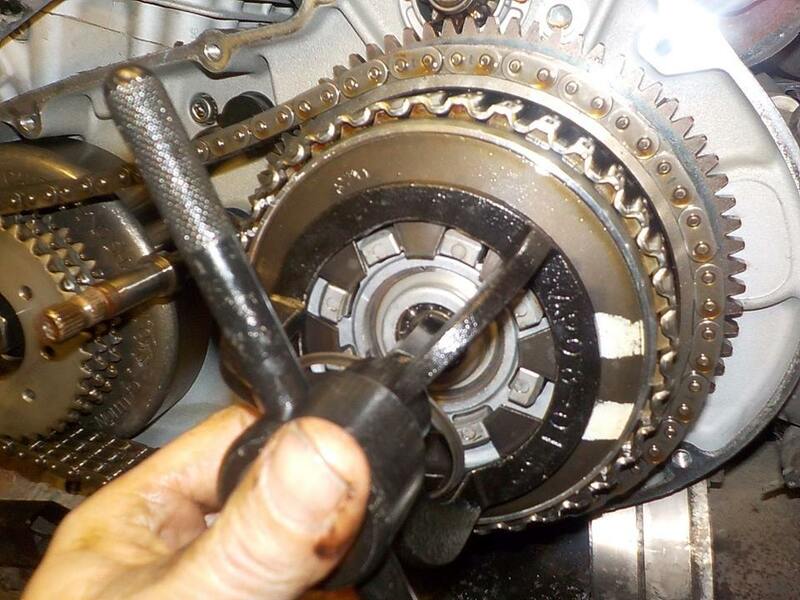 spacer these correctly — at Twin Motorcycles Buell Support forever. 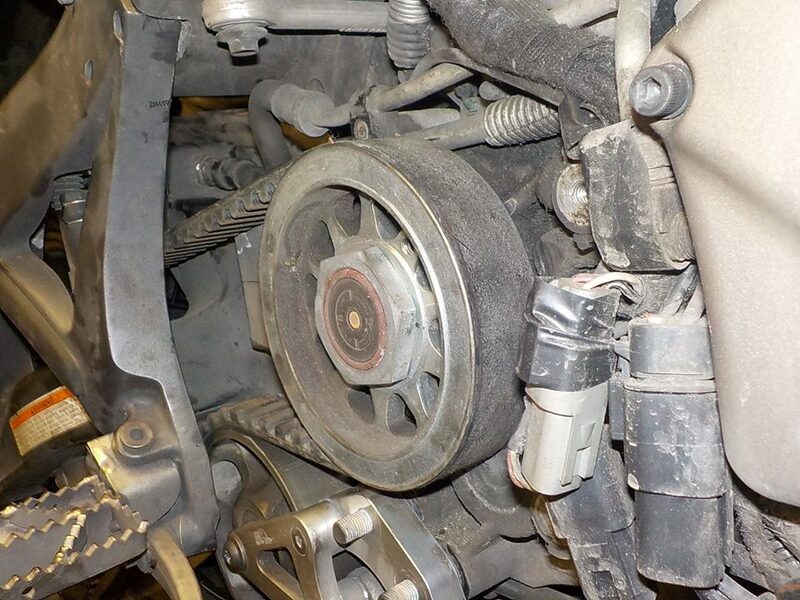 hehe.. belt runs better on the pullies..not running and rubbing trough the oil lines — at Twin Motorcycles Buell Support forever. 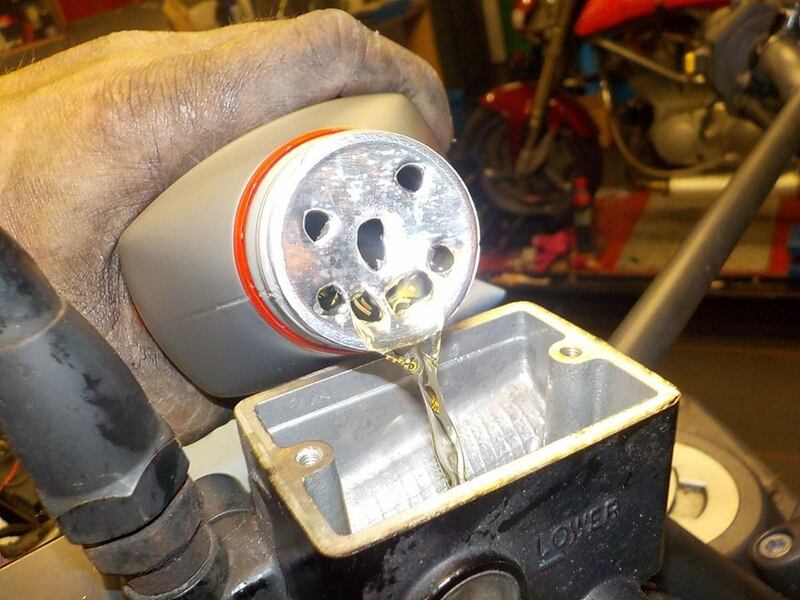 new oil fitler — at Twin Motorcycles Buell Support forever. 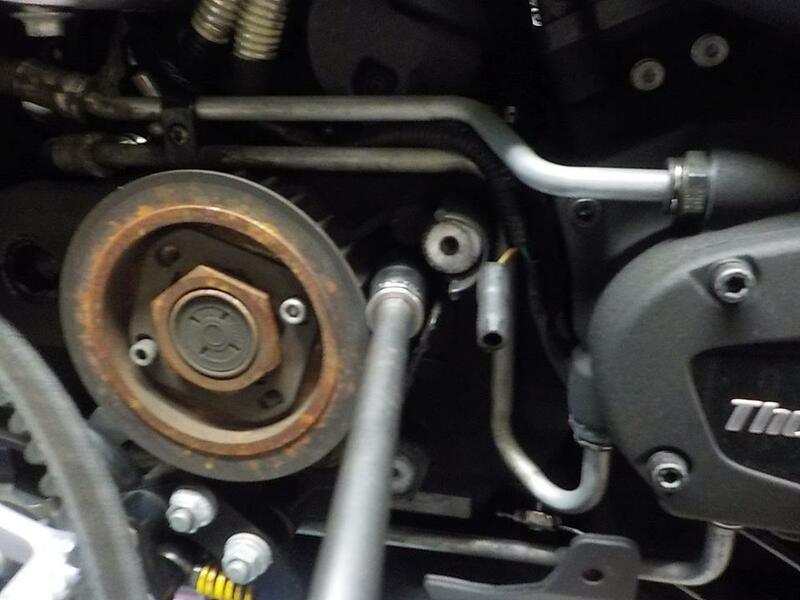 baseplate cleaned and filter on — at Twin Motorcycles Buell Support forever. 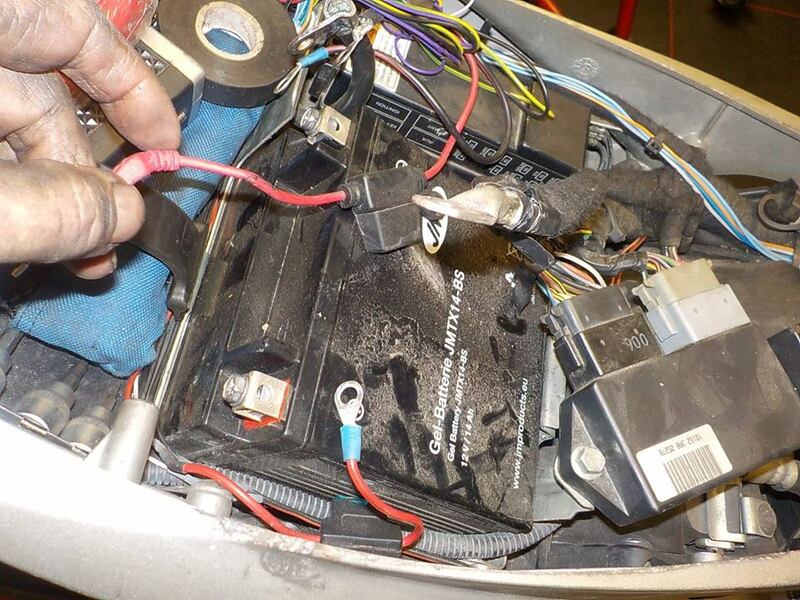 battery did not surfive the long parking — at Twin Motorcycles Buell Support forever. 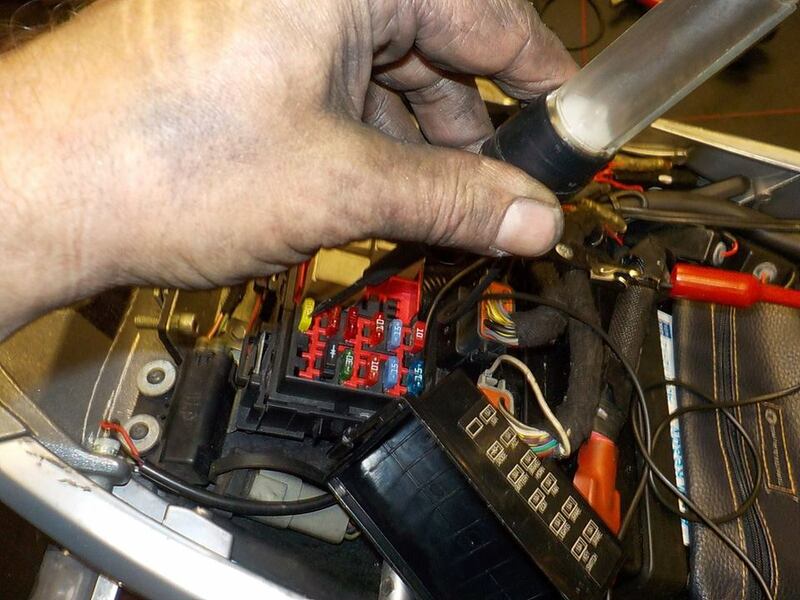 new battery and ecm re-location — at Twin Motorcycles Buell Support forever. 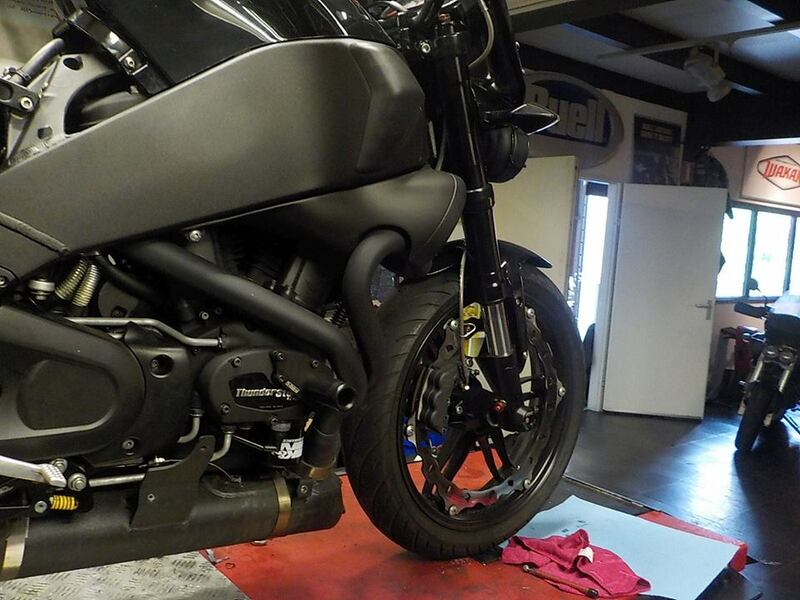 front end check — at Twin Motorcycles Buell Support forever. 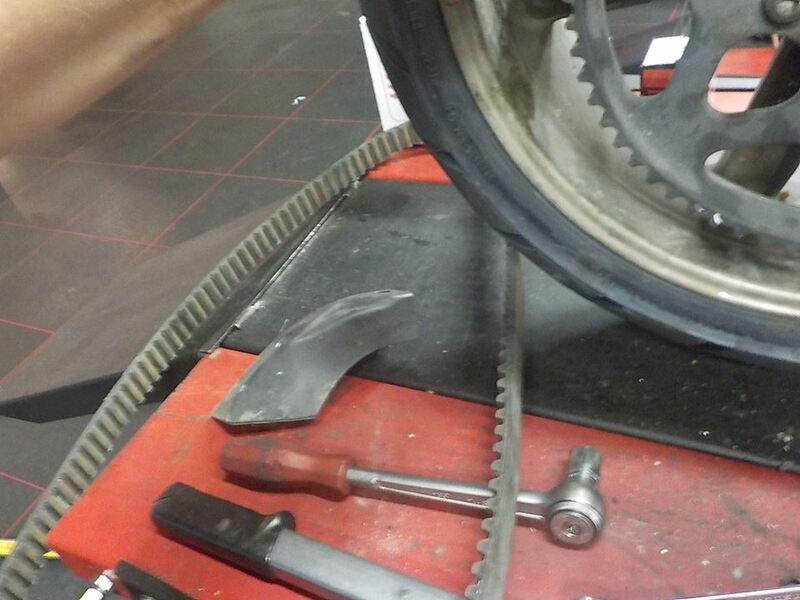 bearings ok.. fresh tyre — at Twin Motorcycles Buell Support forever. 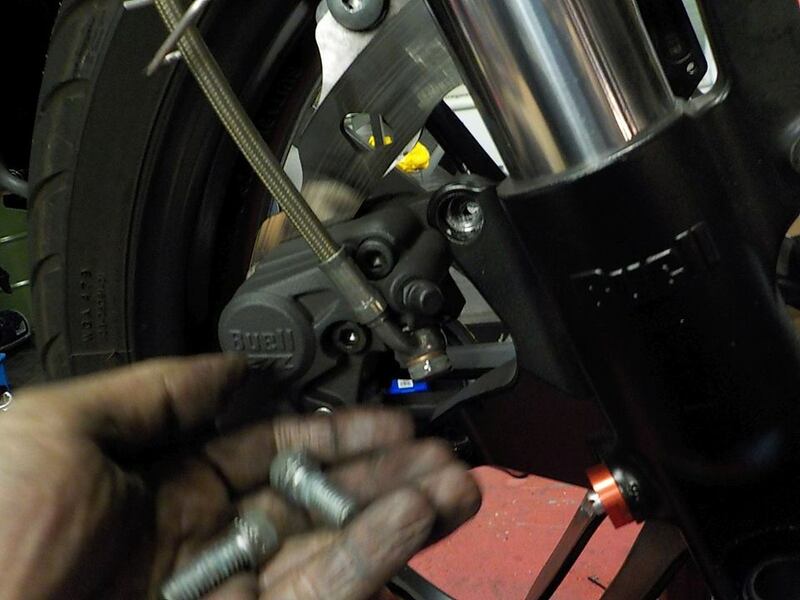 brake fuild.. dirty — at Twin Motorcycles Buell Support forever. 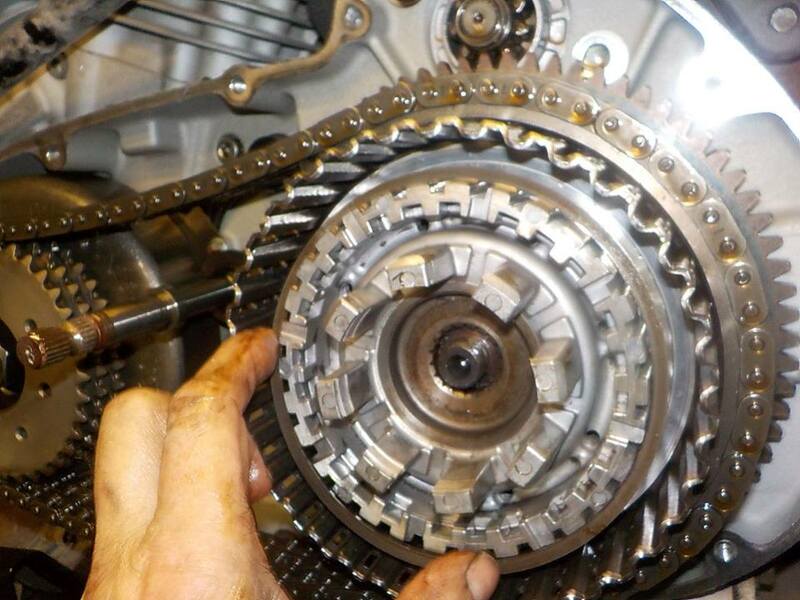 clean up and fresh fluid in — at Twin Motorcycles Buell Support forever. 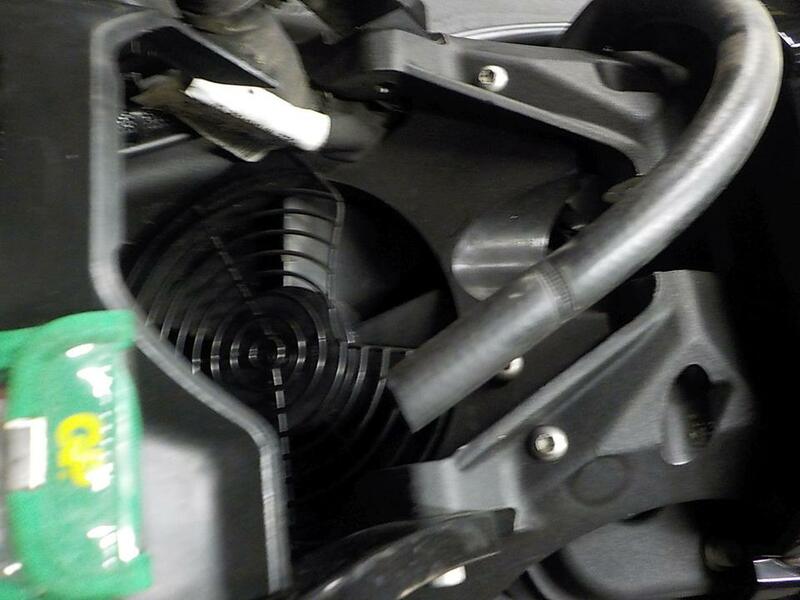 little things.. barend cap loose / gone .. i put a new one on — at Twin Motorcycles Buell Support forever. 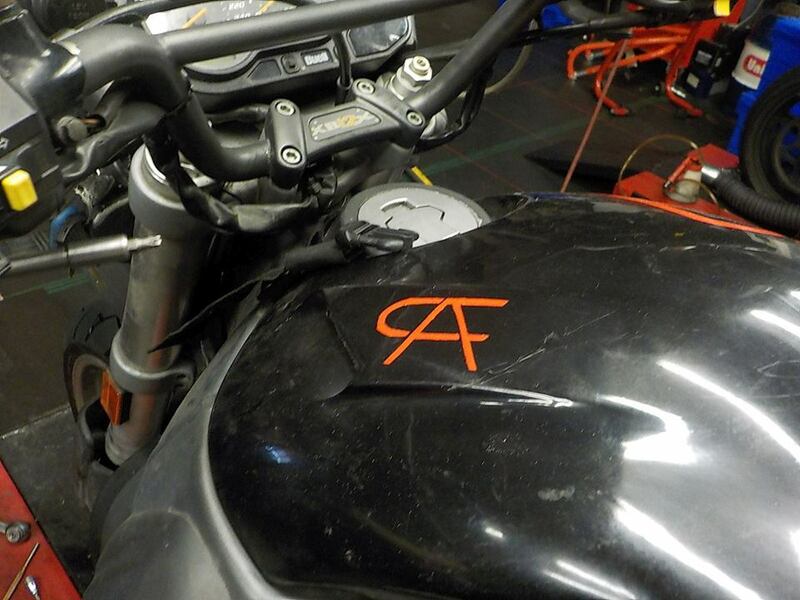 airbox cover on — at Twin Motorcycles Buell Support forever. 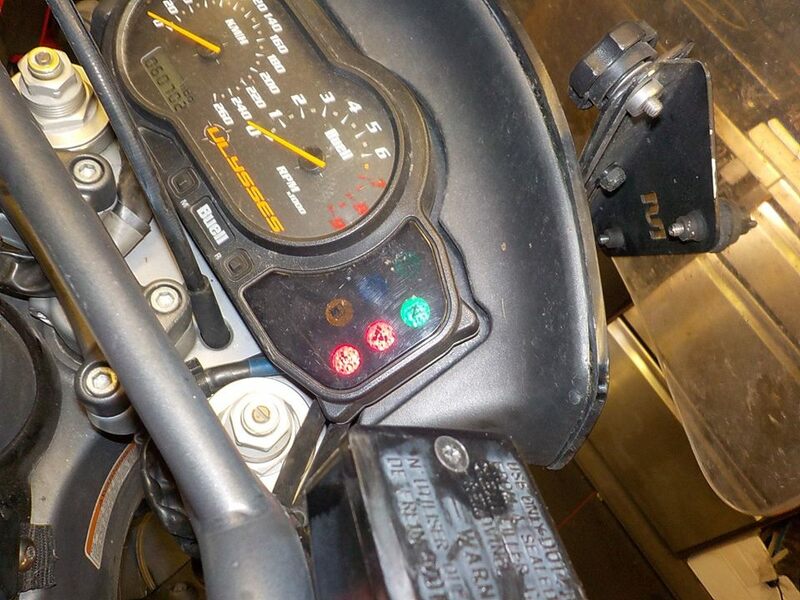 mnn oil pressure sensor not working at check on.. ?— at Twin Motorcycles Buell Support forever. 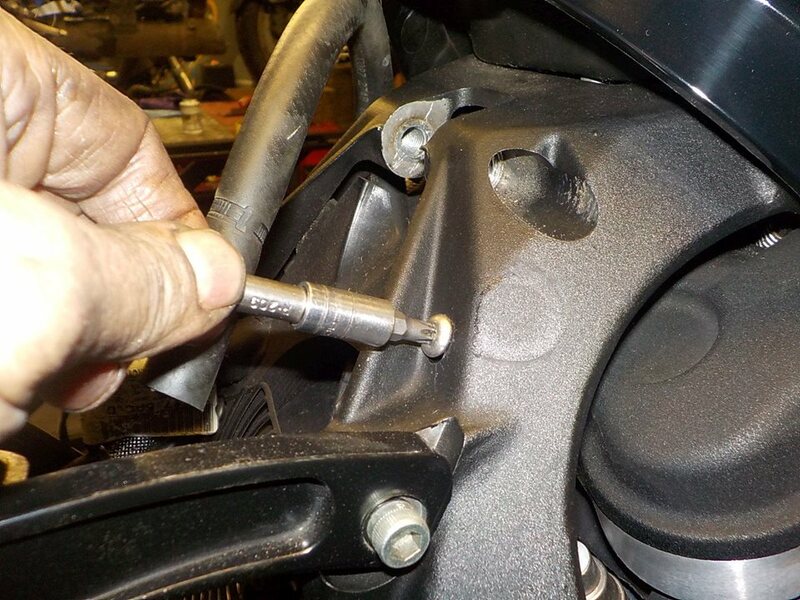 quick check.. sensor problem or wire problem.. oil pressure swich stick a screw driver in the connector and hold it to metal — at Twin Motorcycles Buell Support forever. 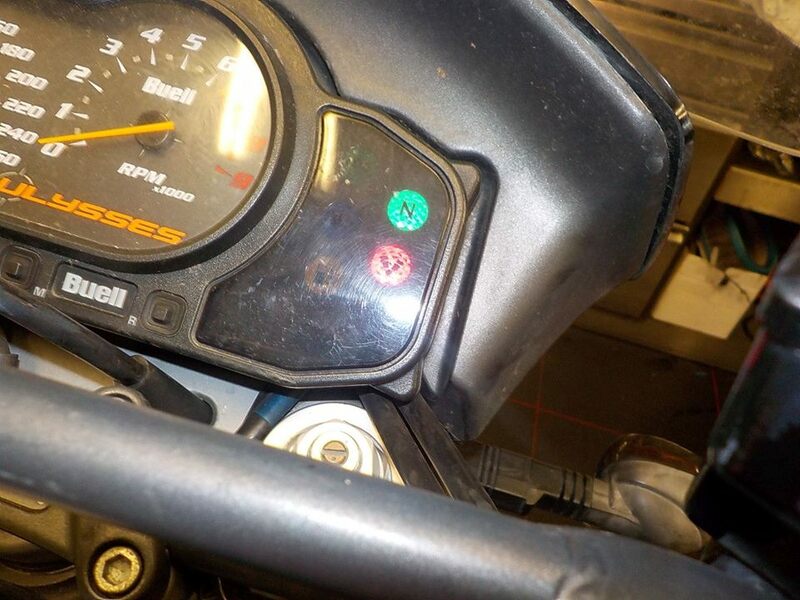 light works now.. aka oil pressure sensor problem — at Twin Motorcycles Buell Support forever. 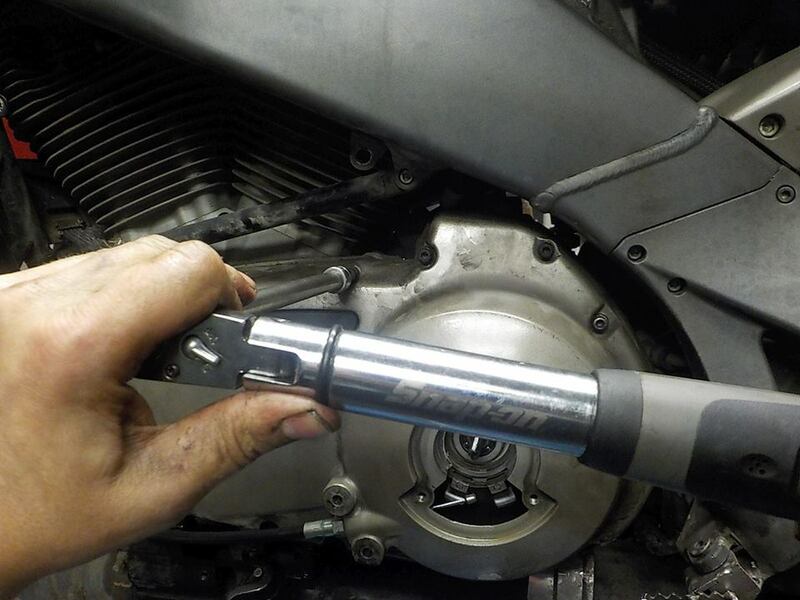 special tool makes life easy.. — at Twin Motorcycles Buell Support forever. 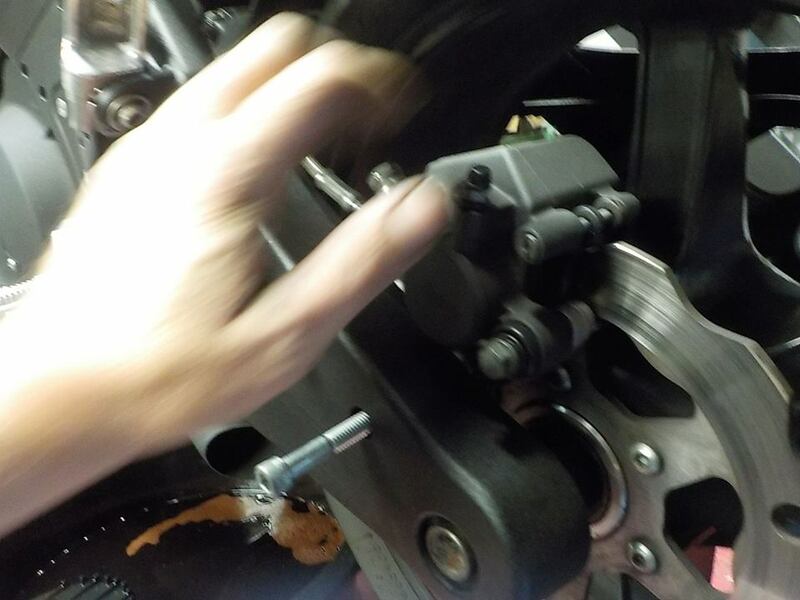 workings... — at Twin Motorcycles Buell Support forever. 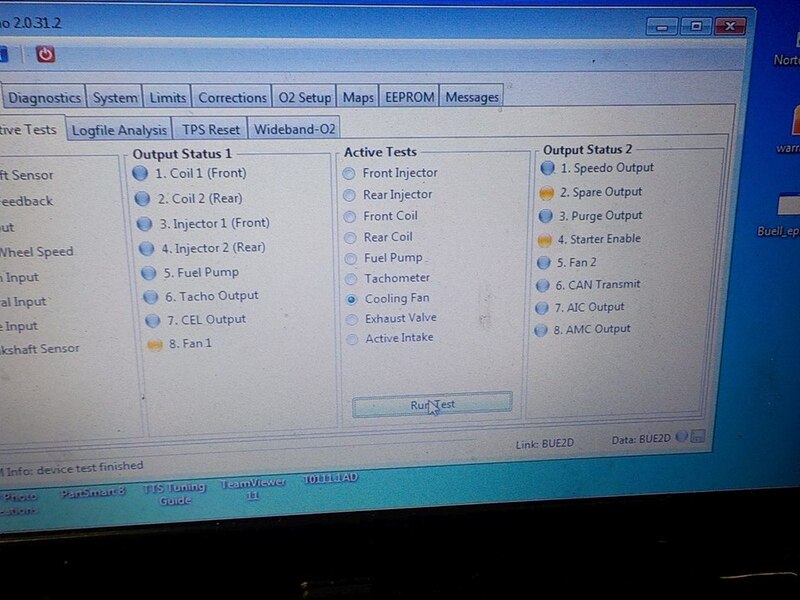 setting the tps.. as it was redicules low , and rtest ride — at Twin Motorcycles Buell Support forever. 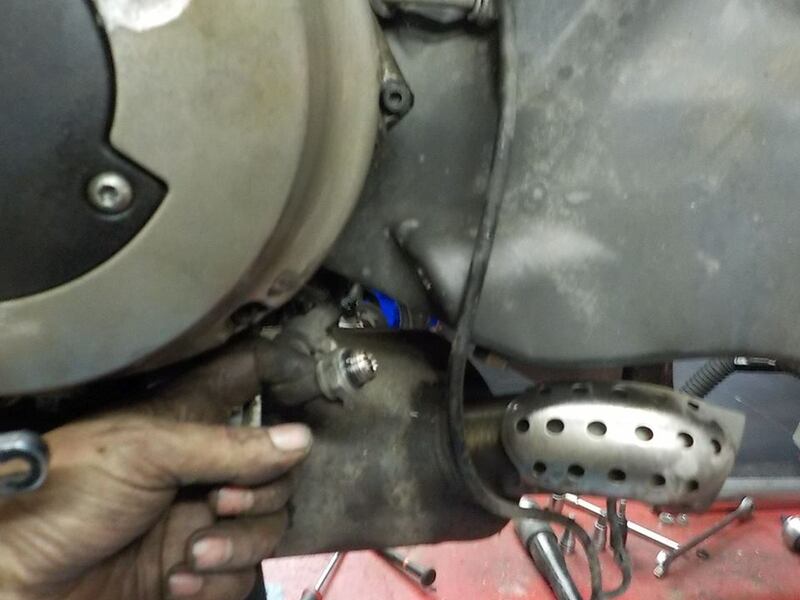 xb12s trouble shoorting.. ecm douse not power up— at Twin Motorcycles Buell Support forever. 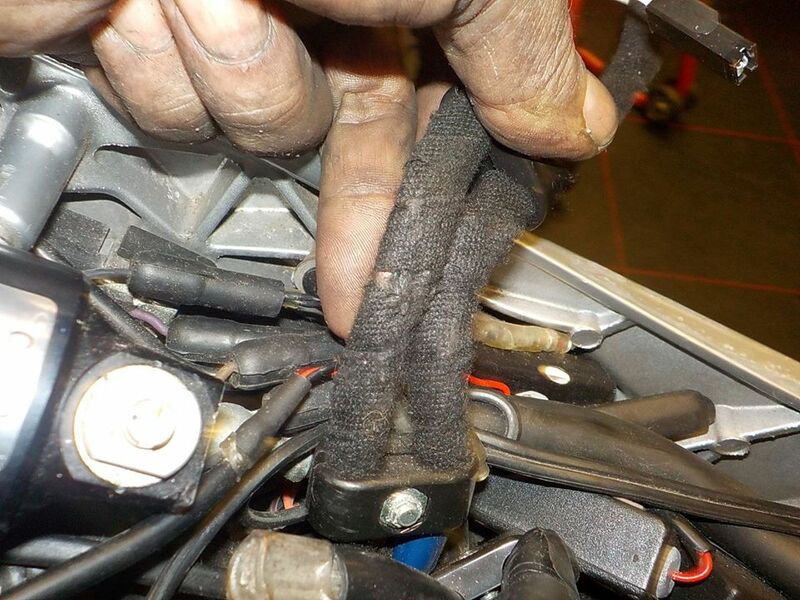 loose battey poles douse not help — at Twin Motorcycles Buell Support forever. 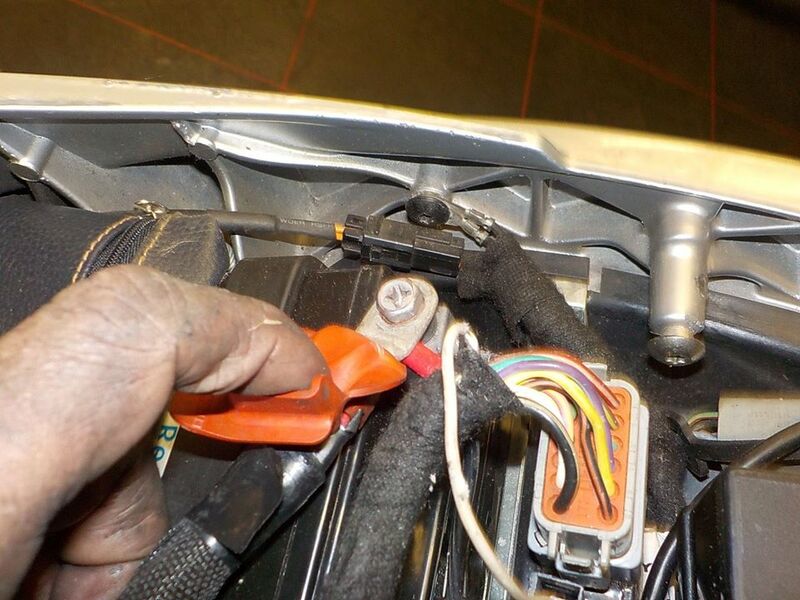 first.. checking fuses.. — at Twin Motorcycles Buell Support forever. 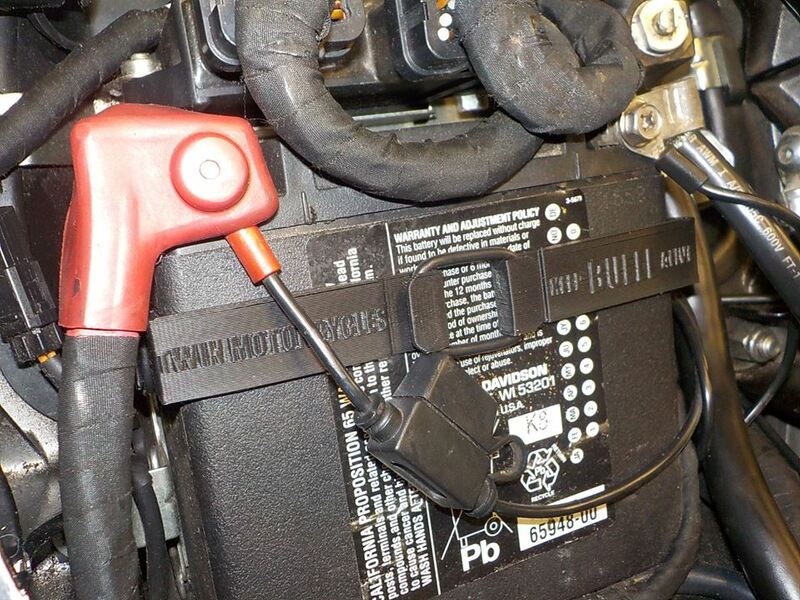 ignition is a 20 A and broken — at Twin Motorcycles Buell Support forever. 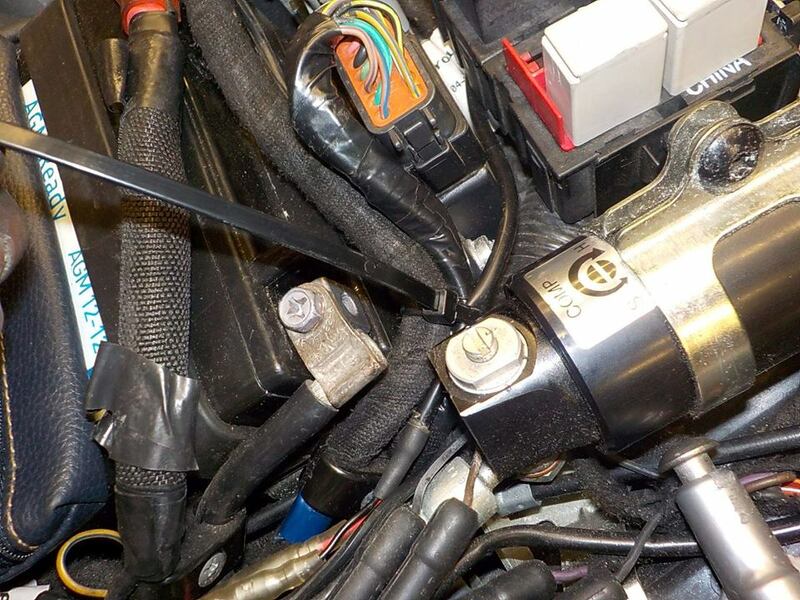 new fuse.. ecm powers up — at Twin Motorcycles Buell Support forever. 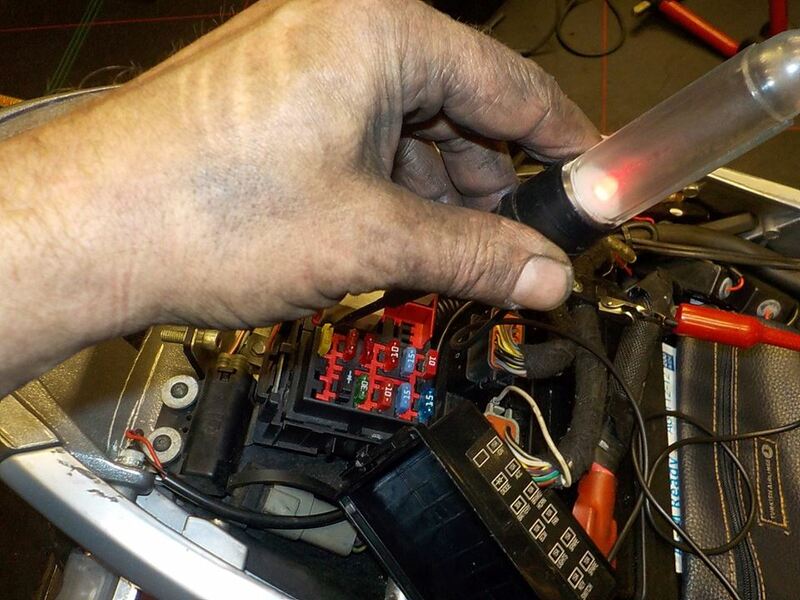 running check also good.. but wiggle to the cables.. the fuse popped right away.. ecm cables is hitting the battery pole — at Twin Motorcycles Buell Support forever. 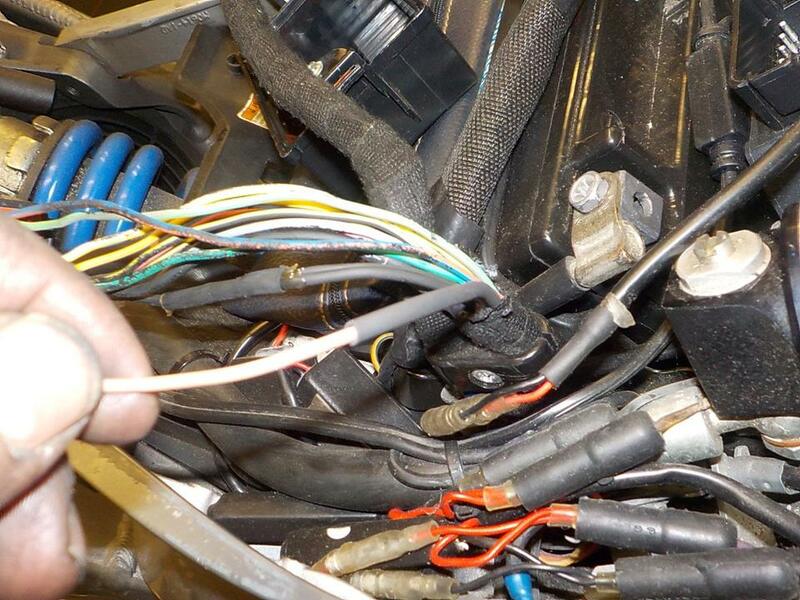 2 wires nasty trough the iisolation — at Twin Motorcycles Buell Support forever. 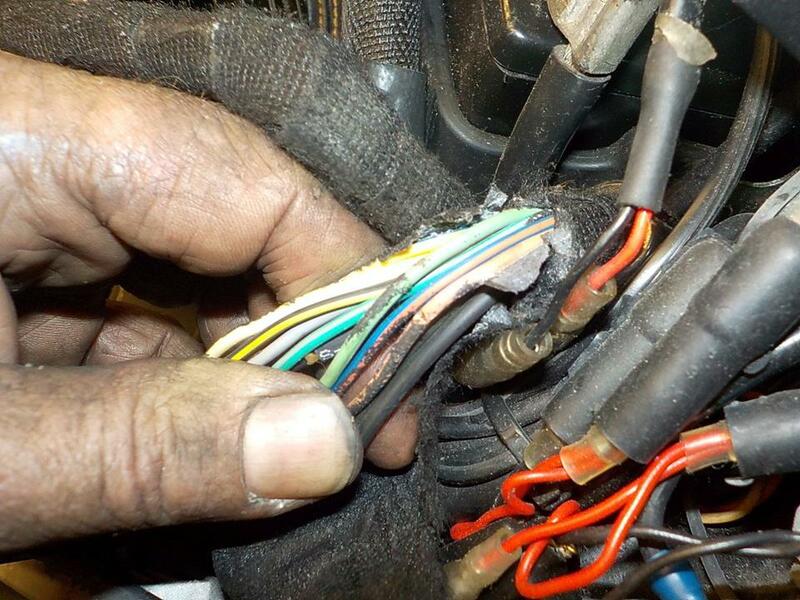 isolate the wires agian — at Twin Motorcycles Buell Support forever. 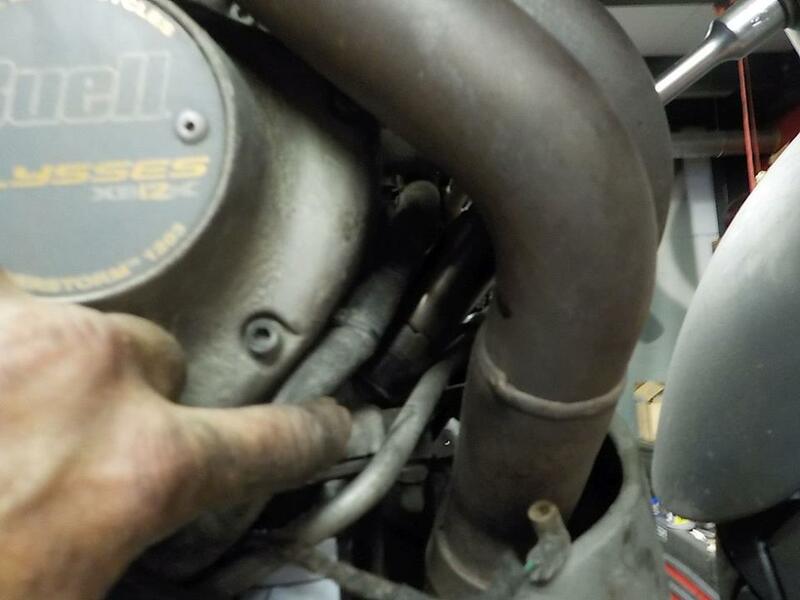 and pulling it a little nicer — at Twin Motorcycles Buell Support forever.